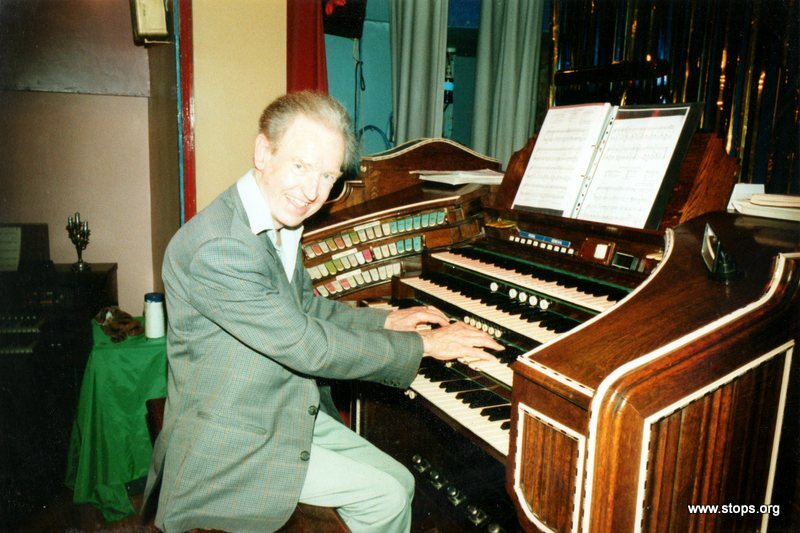 In 1991 Gordon Lucas and Larry McGuire acquired the entire property, consisting of the house on the corner of the West High Street and the buildings which now form the New Palace Theatre Organ Heritage Centre, along with a large garden to the rear. 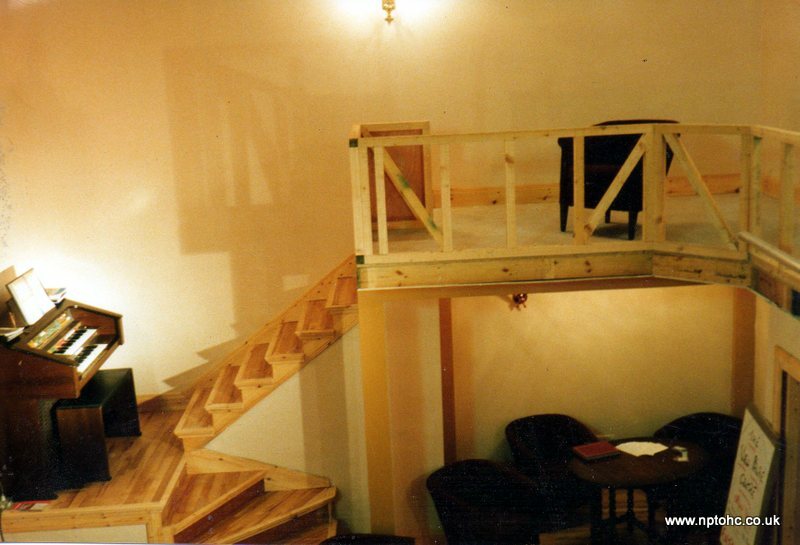 They wanted to create a music room with an attached pipe chamber in which to house their small theatre pipe organ. 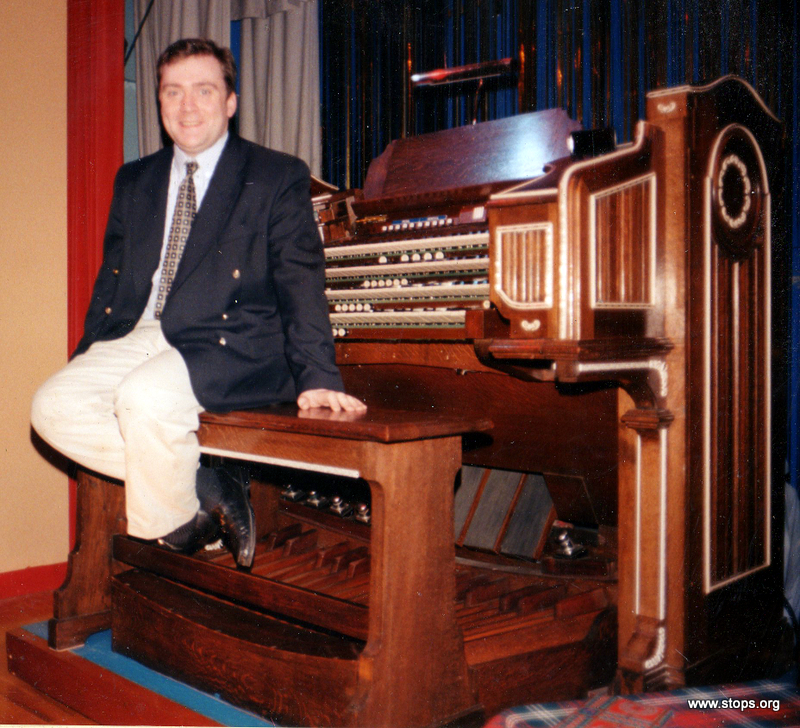 That organ was based upon the remains of the Hilsdon organ from the Palace Picture House, Princes Street, Edinburgh. 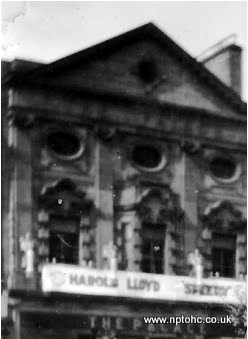 The Palace Picture House was designed by architect R M Cameron and opened in December, 1913 for the PCT chain of cinemas and was later acquired by the Maguire family who had built the Playhouse, some half a mile away in Greenside Place, Leith Walk, Edinburgh. 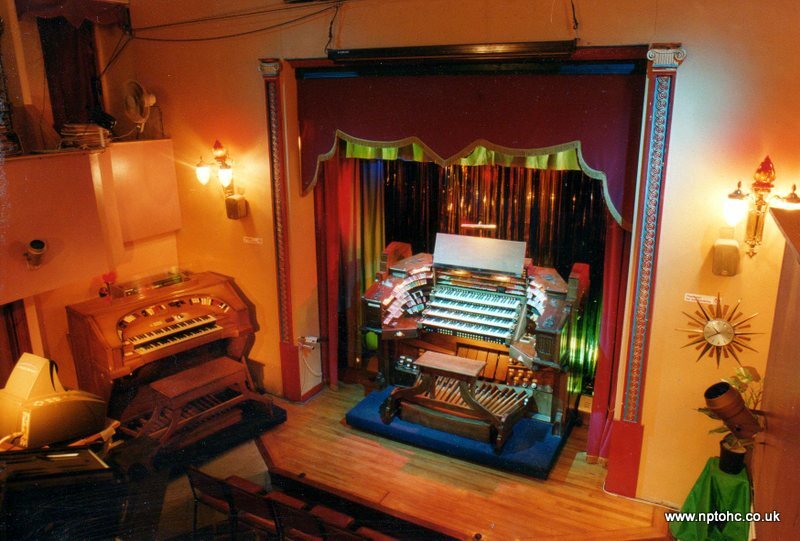 The organ was installed in the Palace in 1929 when they fitted that cinema with sound equipment, then ran it as a sister cinema, and in tandem with, the much larger Playhouse. 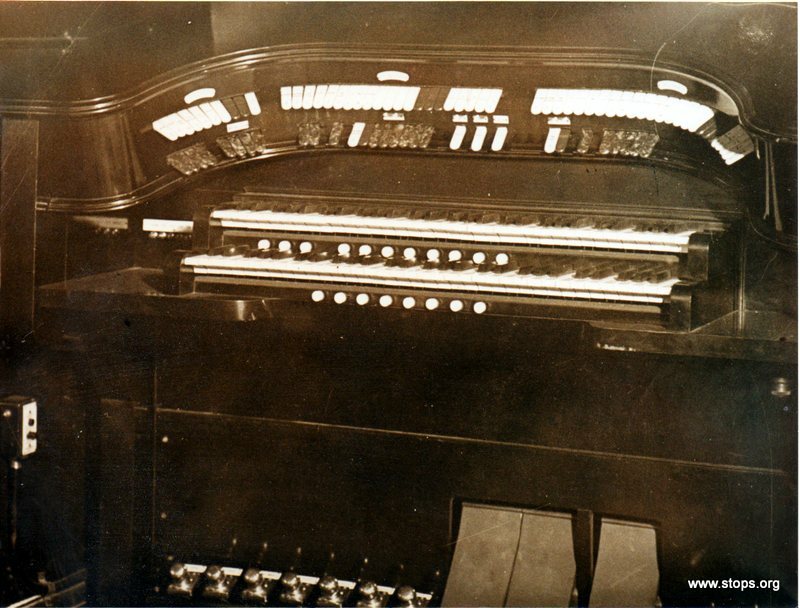 the Palace Picture House The organ was removed from the cinema in 1955 when the F W Woolworth store in the adjoining building offered a purchase price which was too high to refuse, in order to expand their store, so the cinema was subsequently demolished to accommodate this enlargement. 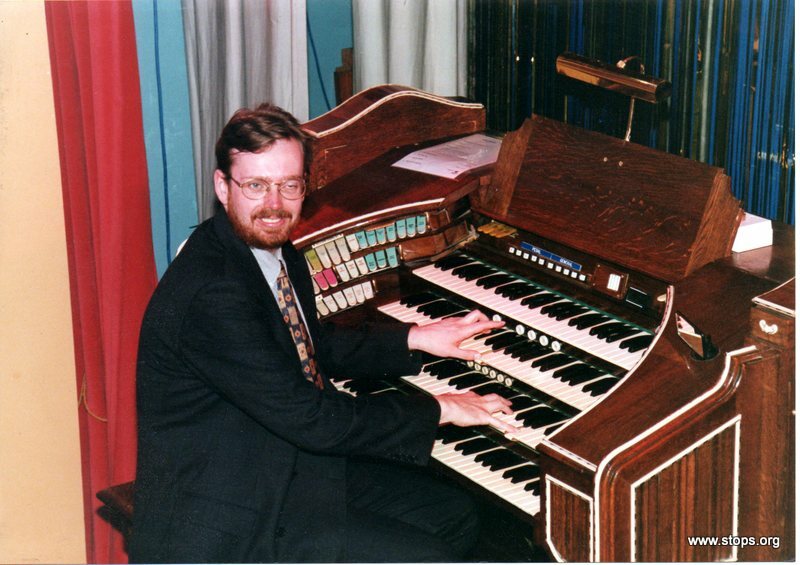 Once removed, the organ lay in Hilsdon's Glasgow Organ Works for almost 20 years, with Hilsdon using some parts of it in unknown church organs they built, until what remained of it was given to Gordon Lucas as 'spares', along with some pipes from other Hilsdon organs, including one set of pipes from the Savoy, Glasgow, orchestral organ. 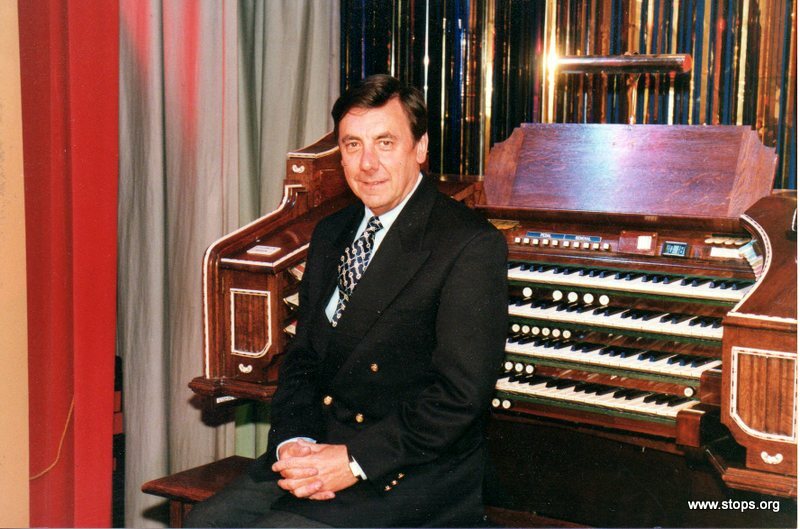 The complete story of both the firm of Henry Hilsdon Ltd and the Unique Hilsdon Unit Orchestral Pipe Organ of the Centre is given in the website of our parent charity, the Scottish Theatre Organ Preservation Society, or 'STOPS' as it is better known. 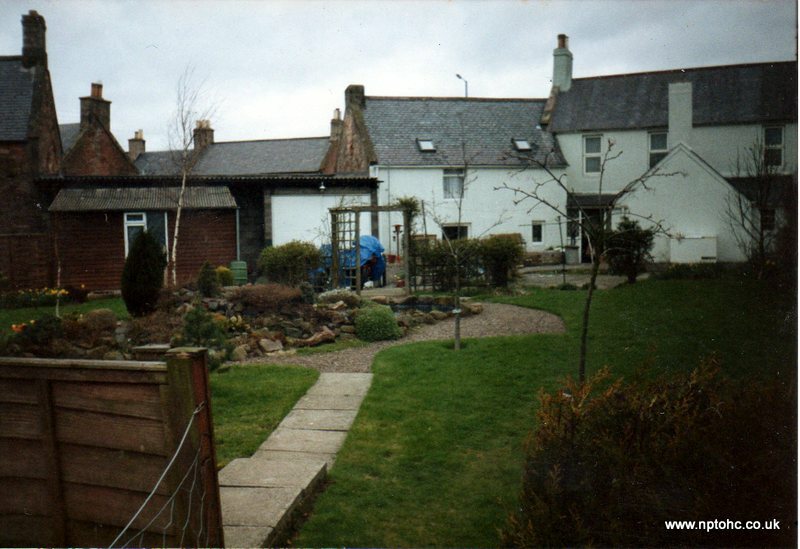 As soon as they assembled the basis of the organ in their Edinburgh home in 1985, Gordon and Larry began looking for a property which would be suitable to move into and which could house their instrument which, in order to be restored to its original complement of pipes and parts, would quickly outgrow their house. 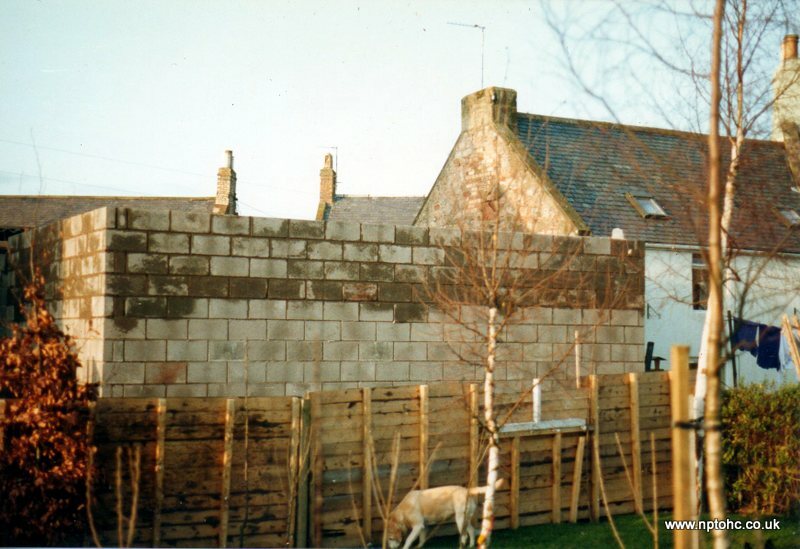 In 1990, they saw the Greenlaw property advertised and subsequently viewed it, made an offer, and the Missives of Sale were completed just before Christmas of that year. 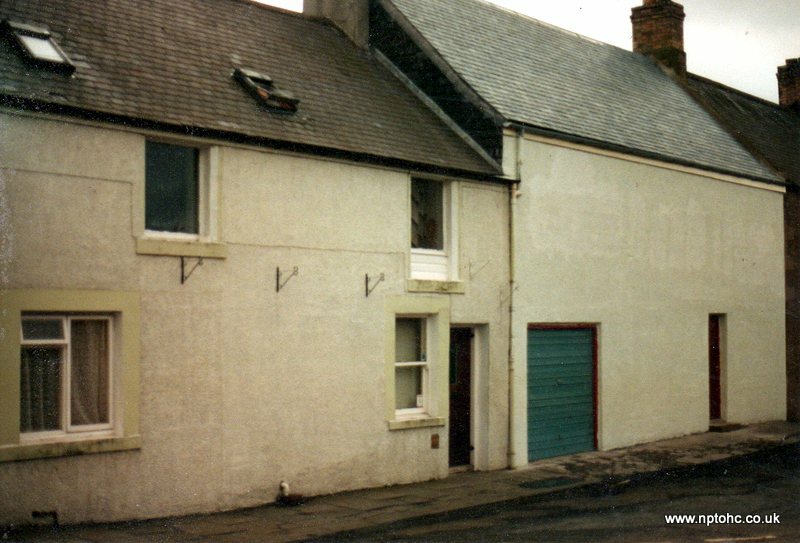 as it was in 1991 Having dismantled and transported the organ to Greenlaw in dozens of wooden crates during the first 3 months of the year, they moved into their new home in April 1991 and plans were soon drawn up for their new music room. 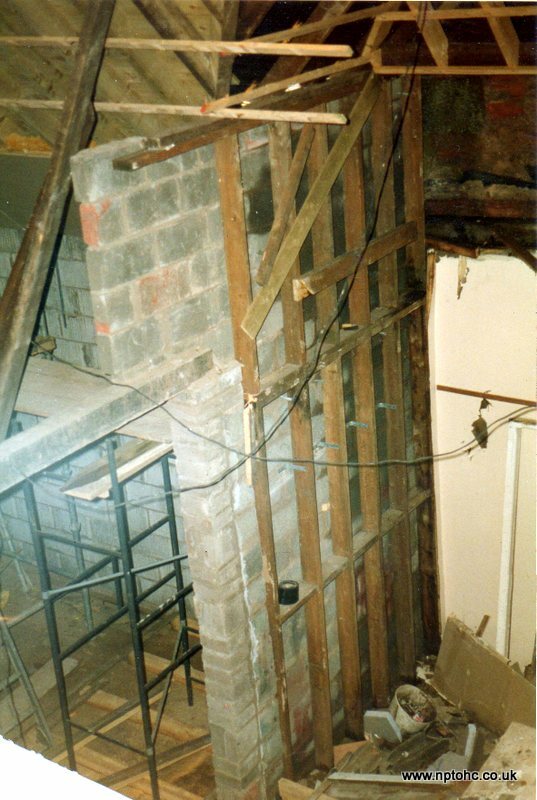 What is now the Green Room had already been converted into a self contained flat and their original plan was for this to remain, but the Foyer was originally conceived as being a garage with some storage space above it, as it had large double doors at both the street and garden ends when first seen. 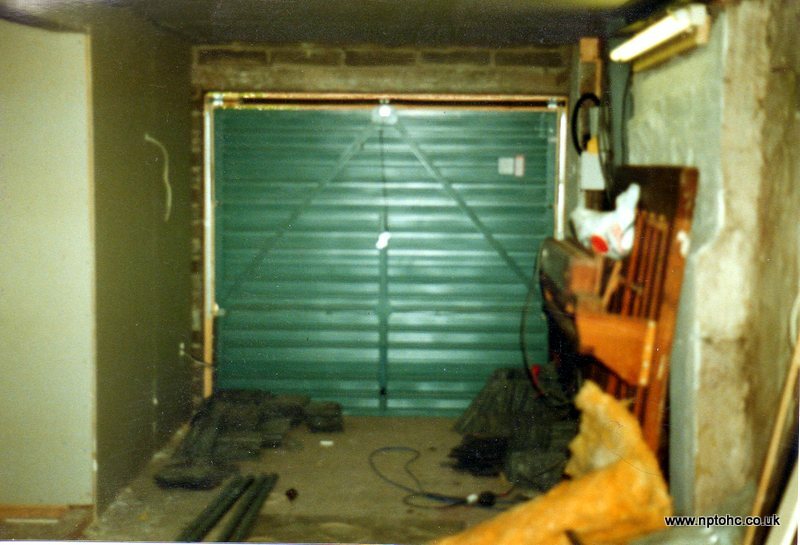 The opening for these doors at the garden end was subsequently filled in to form a single doorway and both the height and width of the front doors reduced. 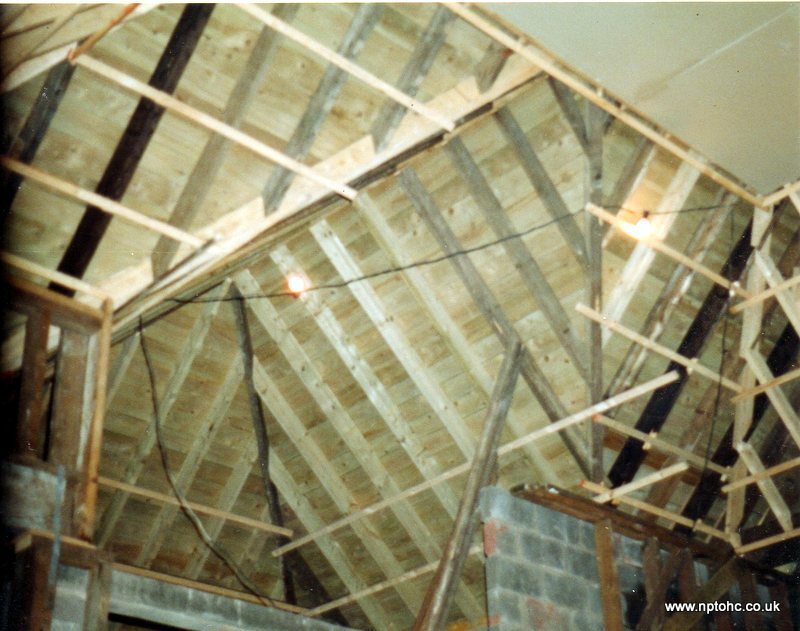 The photo on the right shows some organ parts being assembled in that area when it was first near completion. 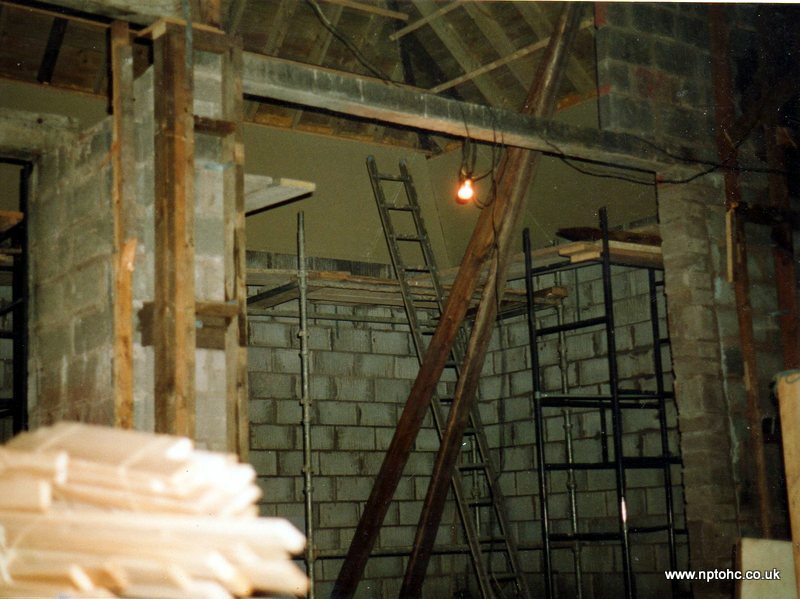 The digging of the foundations for the new pipe chamber to the rear of the main room was begun just before Christmas 1991 and the erection of the new extension began in earnest just after the start of 1992. 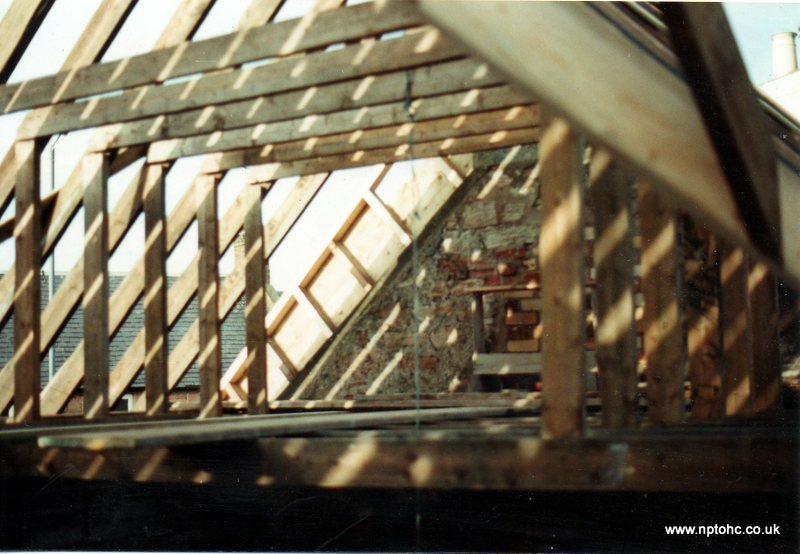 The original plan had been to put a new roof onto the 'studio' as it was called then, and add the pipe chamber, but during the Planning Application stage, objections were raised to the design of the rear extension to have a gable end, so the roof shape of the pipe chamber was altered to form a 'hipped' design. 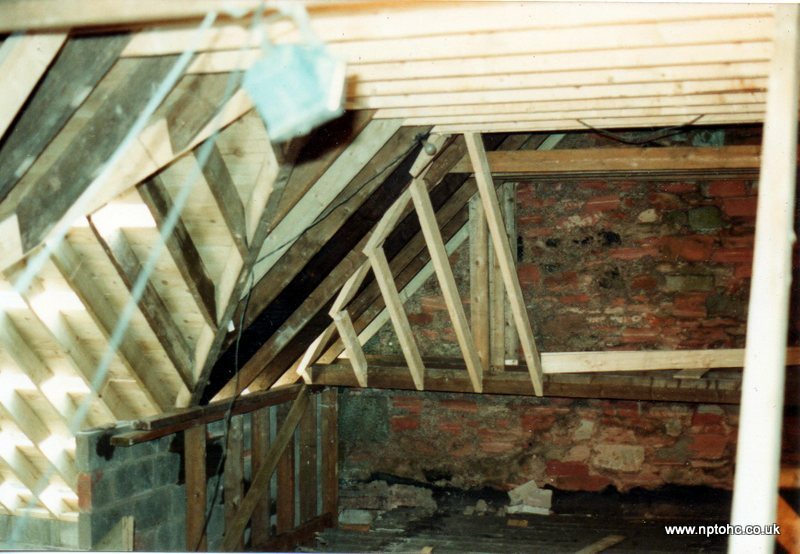 At this time, the height of the 'studio' itself was increased to bring it in line with the adjacent property. 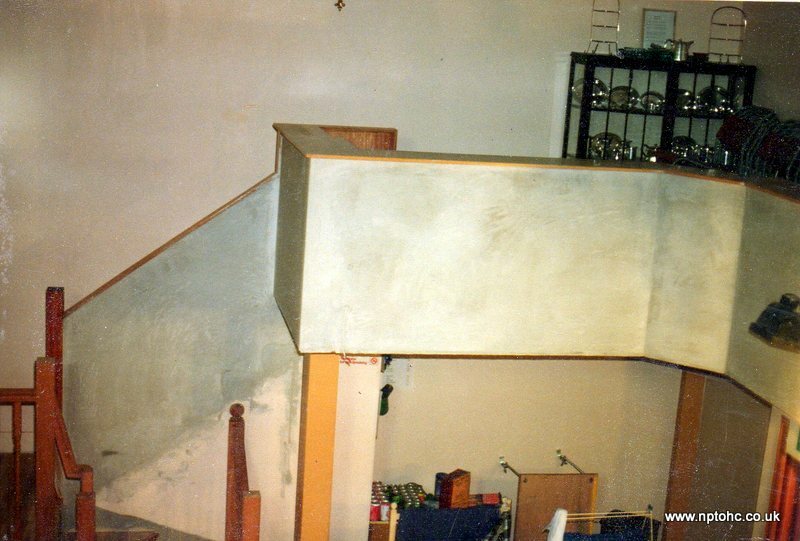 All of a sudden, the height over the garage was suitable to use as working or 'living' space, so a small gallery was added to the design, with an internal stair to access it. 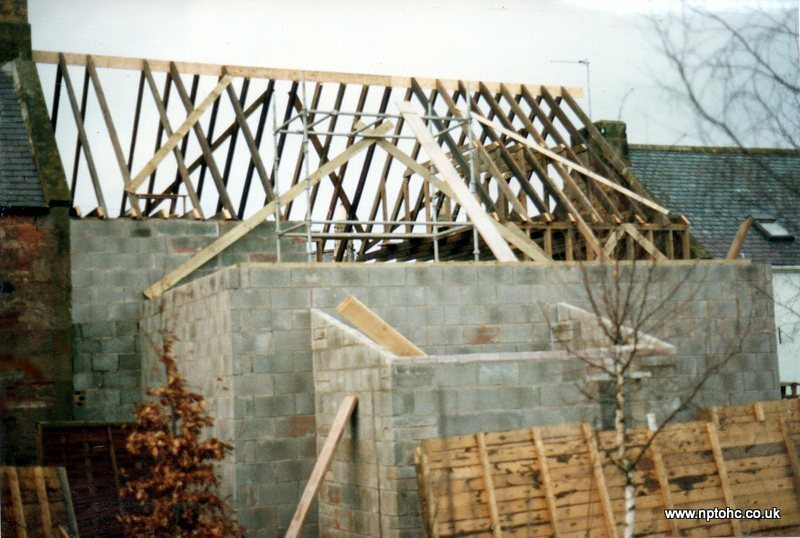 And so, the exterior was completed by the middle of 1992, but at that point, the Project Manager, who had been employing all the companies to do the work, and had been given funds in advance to pay them, went bankrupt, with virtually all of the internal work yet to be completed. 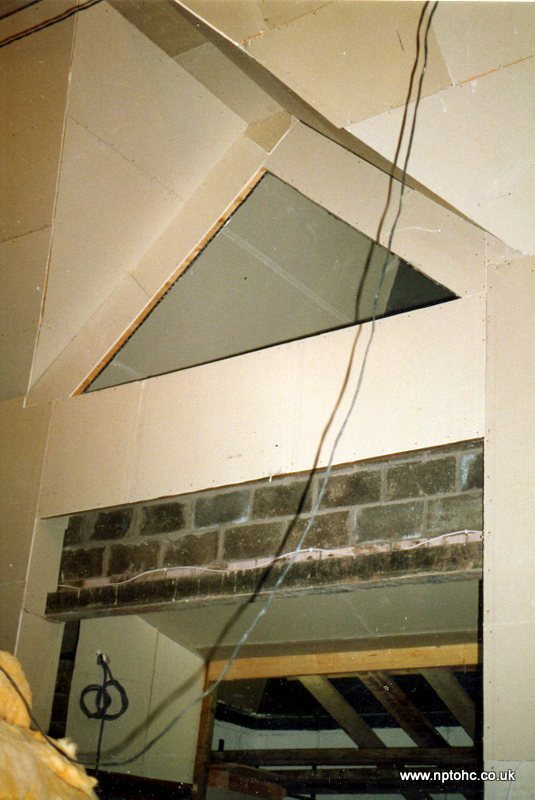 By the time the project had reached the stage where the roof was on, Larry had begun assisting the builders by doing a lot of the work on the inside of the building, concentrating his efforts on building the side and rear walls of the stage, so that the main organ chamber could be completed and painted. 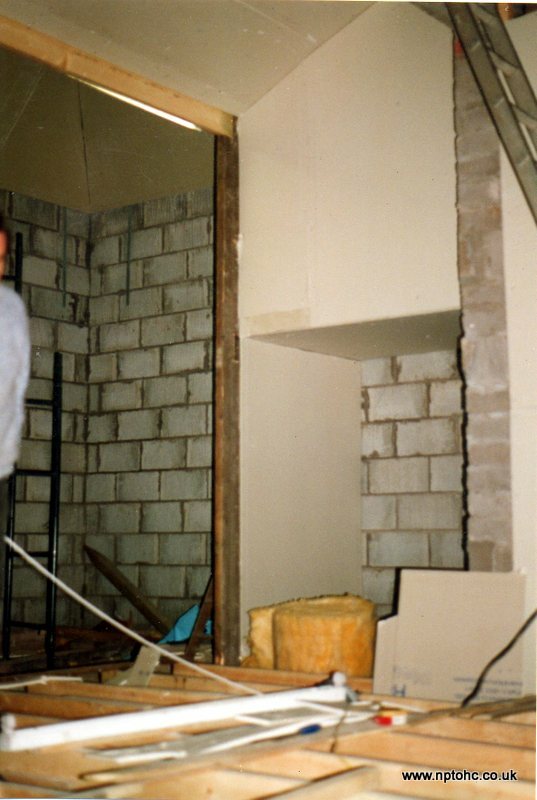 Then he began building the stage floor. 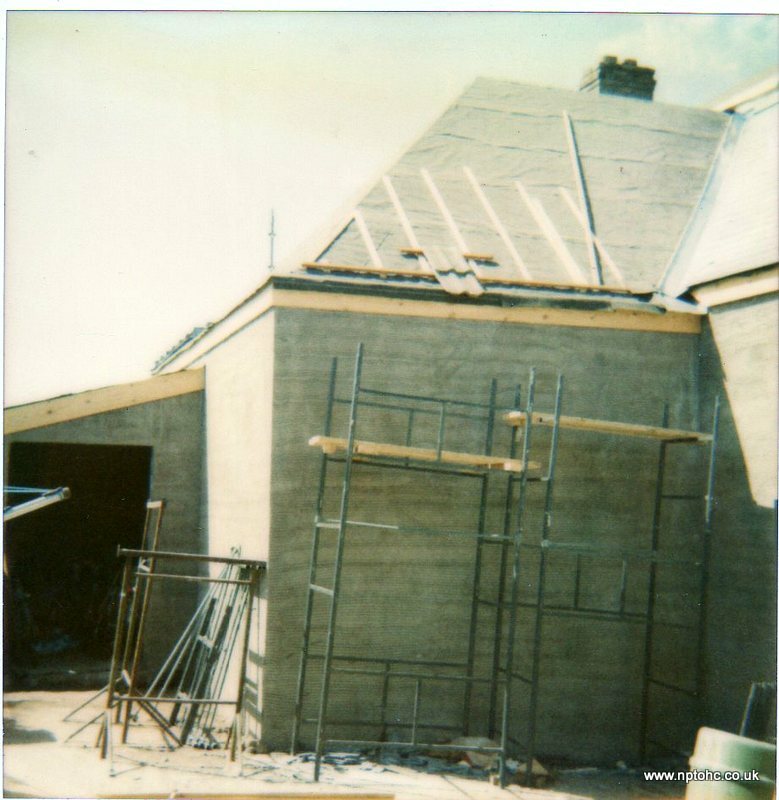 However, once the building was wind and watertight, the other Trustees and several members of STOPS visited, and were so impressed with the way the Studio was developing, they asked if they could use it as the Society's new home, and so the idea of the 'New Palace Centre' was born. 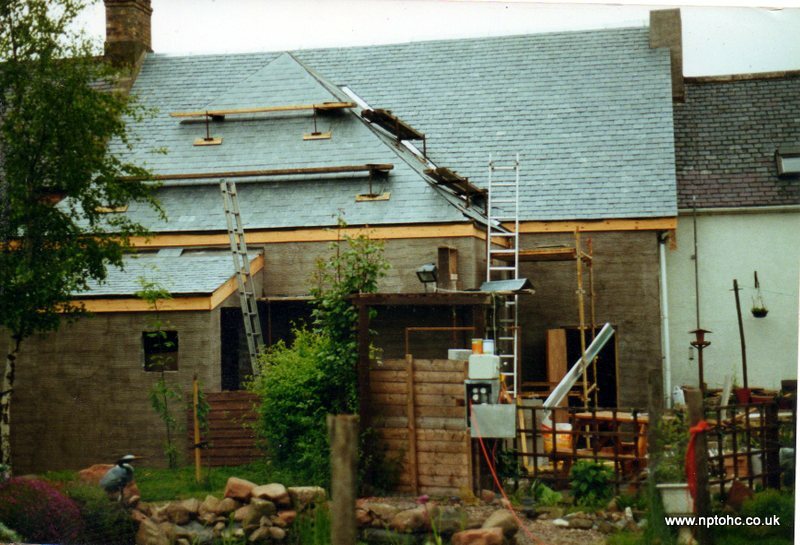 Gordon and Larry continued working to complete it themselves, in between their time consuming full time jobs, which often involved staying away from home for weeks at a time. 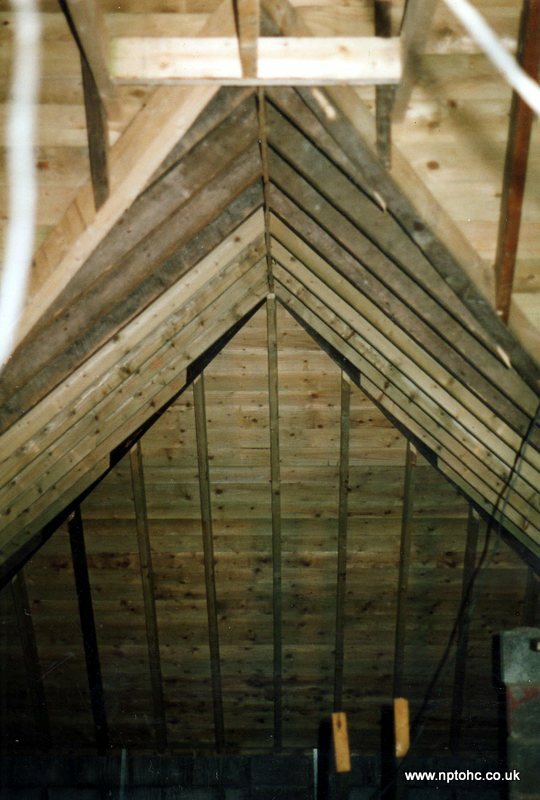 More ceiling . . . 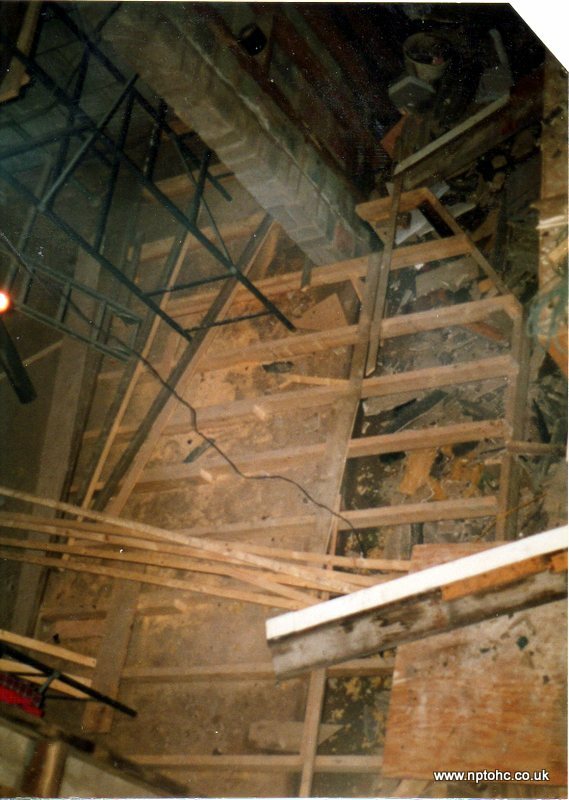 In the summer of 1992, GL Flooring of Edinburgh generously donated the Studio Maple flooring for the auditorium to STOPS and this was subsequently laid on top of the concrete main floor. 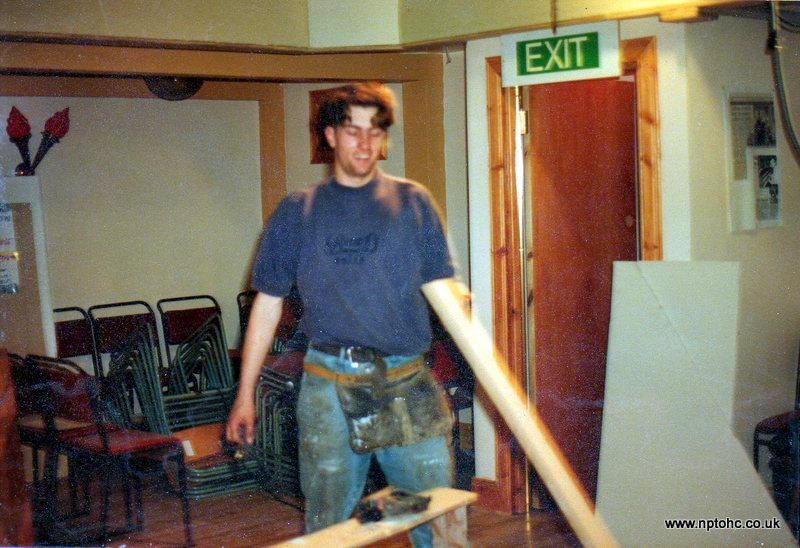 Apart from sheeting the main walls and ceilings with plasterboard, all the internal fitting out was done by them, with the plaster finish being carried out by local tradesman, Jack Lothian. 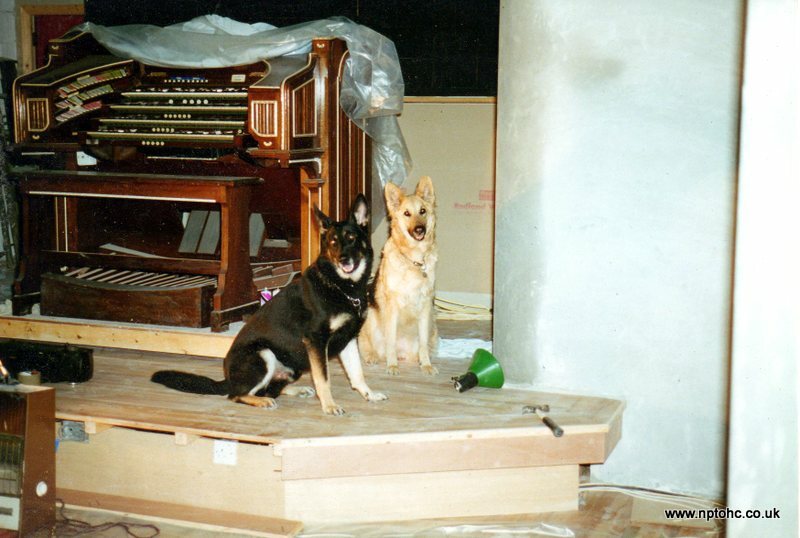 Eager to get the organ parts out of storage, Gordon began to concentrate on getting the organ assembled, with Larry working on building the gallery and staircase. 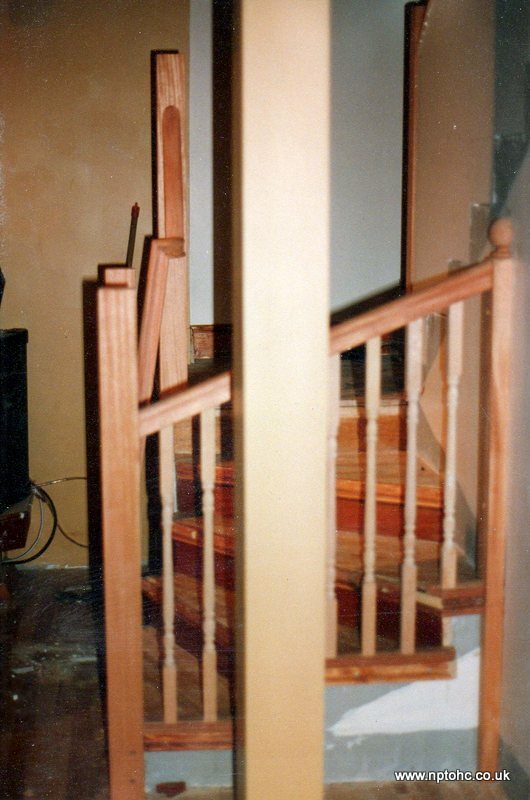 A local joinery apprentice helped, making all the joints in the bannister handrails and fitting the spindles. 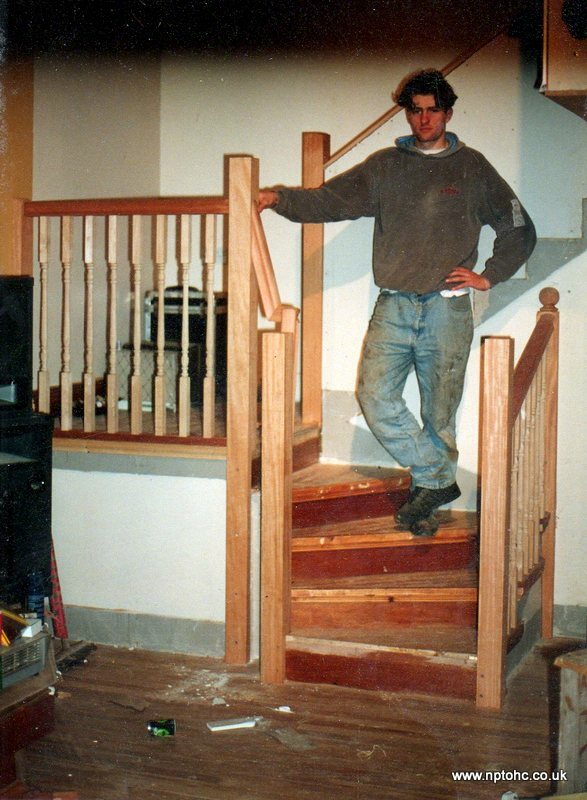 an excellent craftsman. 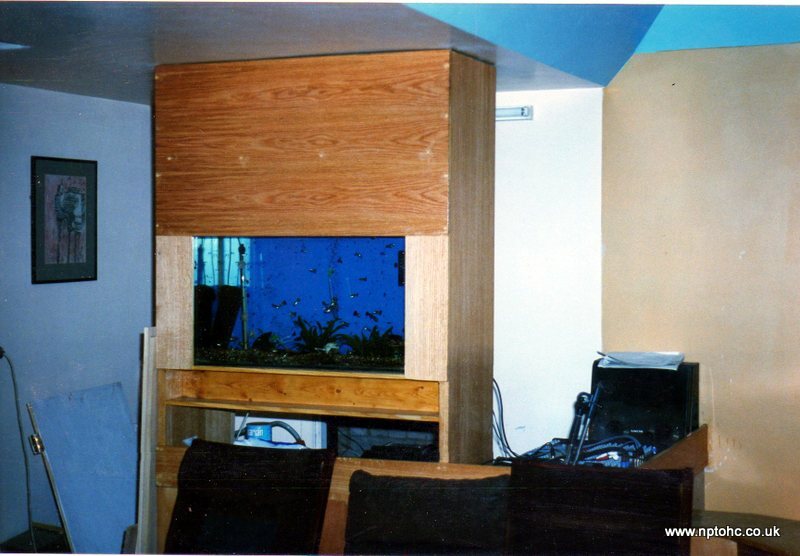 A difficult bend! 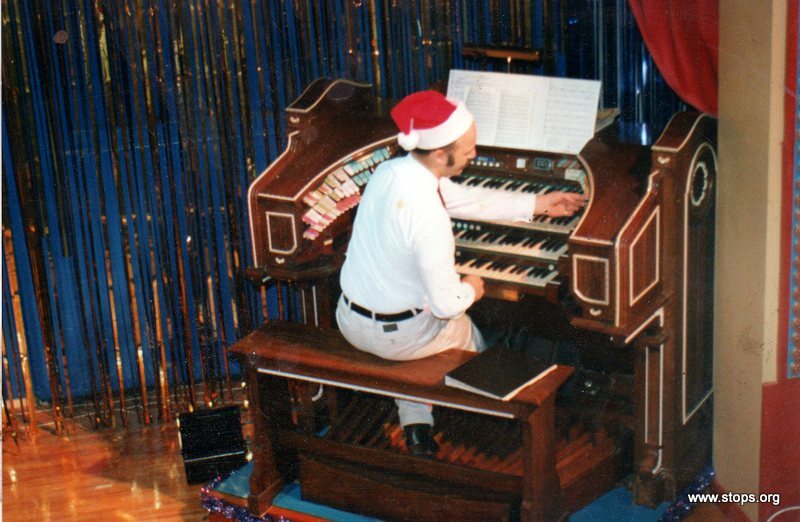 By Christmas of 1993, the room was complete and a concert was given for members of STOPS - the Scottish Theatre Organ Preservation Society. 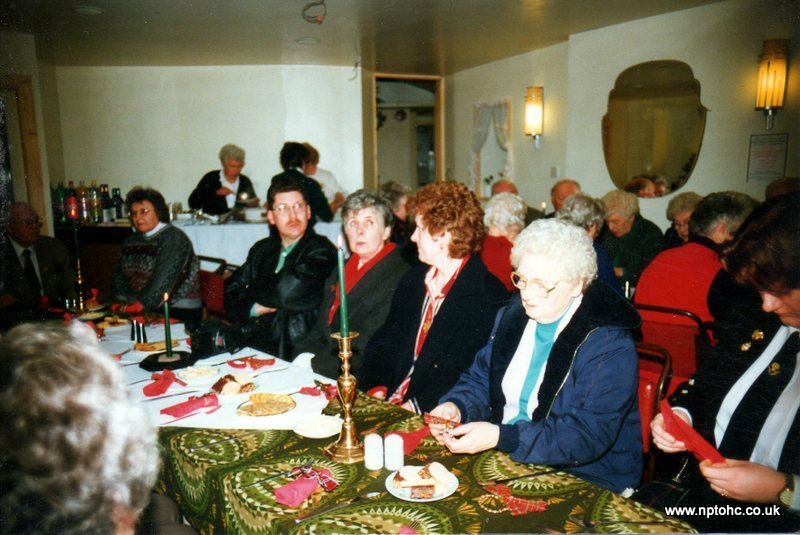 The 'Granny Flat' was called into use as a Tea Room for the Interval. 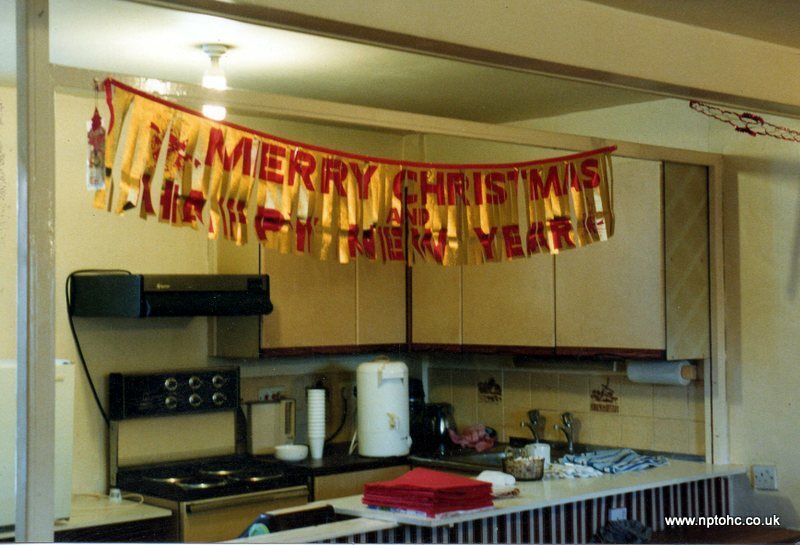 Just before this, a pair of velour curtains with matching pelmet had been designed and made by Larry. 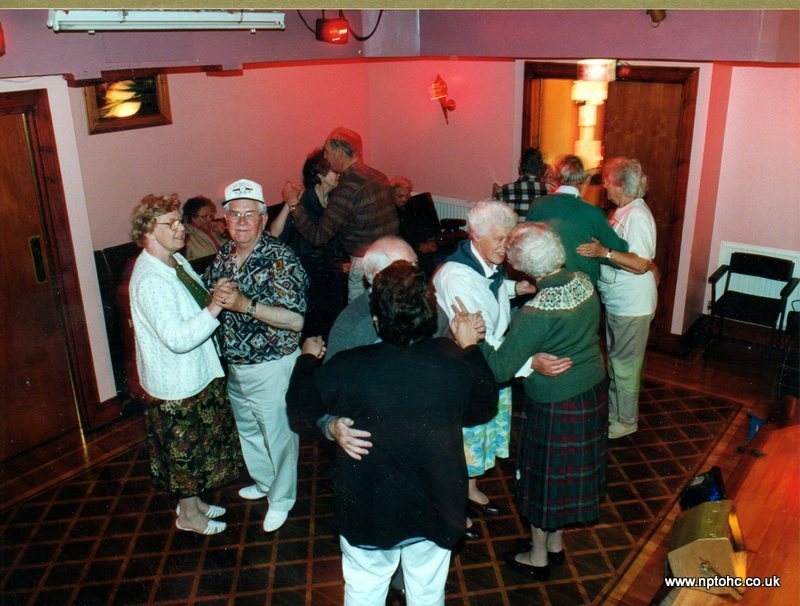 The Society began to hold concerts for Society members as well as 'Member's Days' when Society members could play the organ, then began to hold tea dances and public concerts. 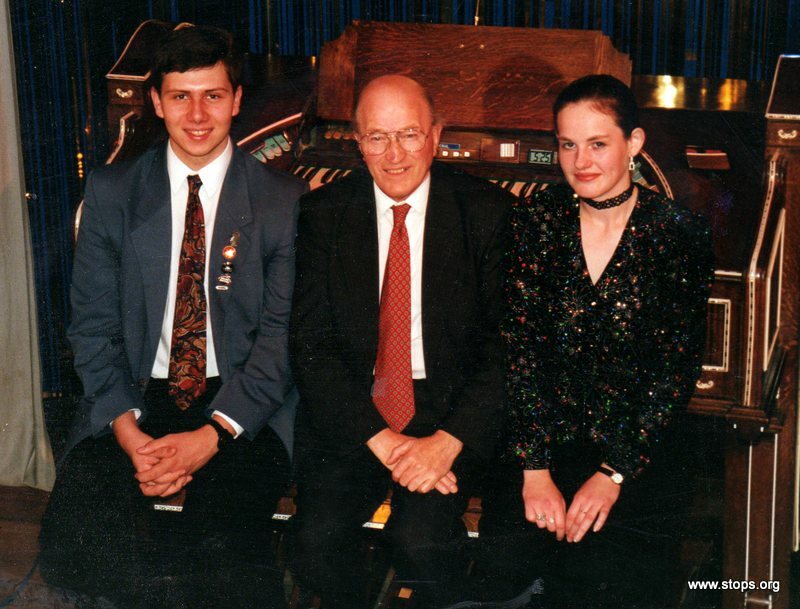 The Society decided it was time to 'go public' and held a formal 'Opening Concert' of the New Palace Centre on October 1994, when it was officially declared open by the Rt Hon. 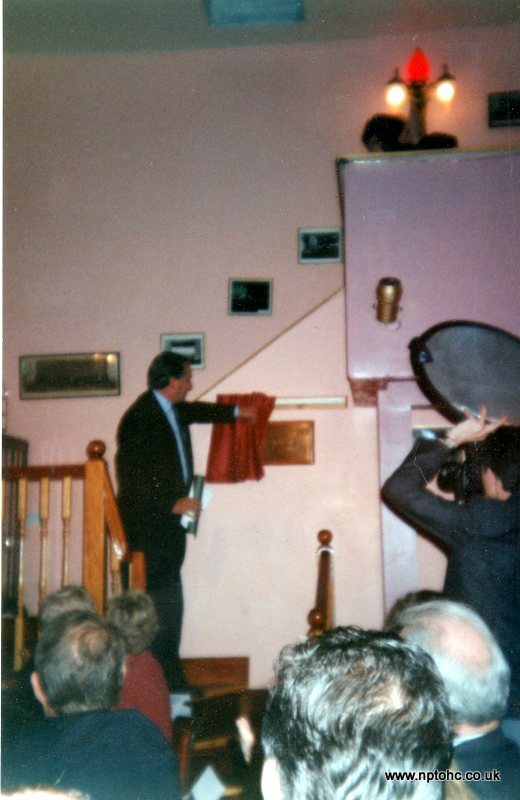 Lord Steel of Aikwood when he unveiled a brass plaque commemorating the occasion. 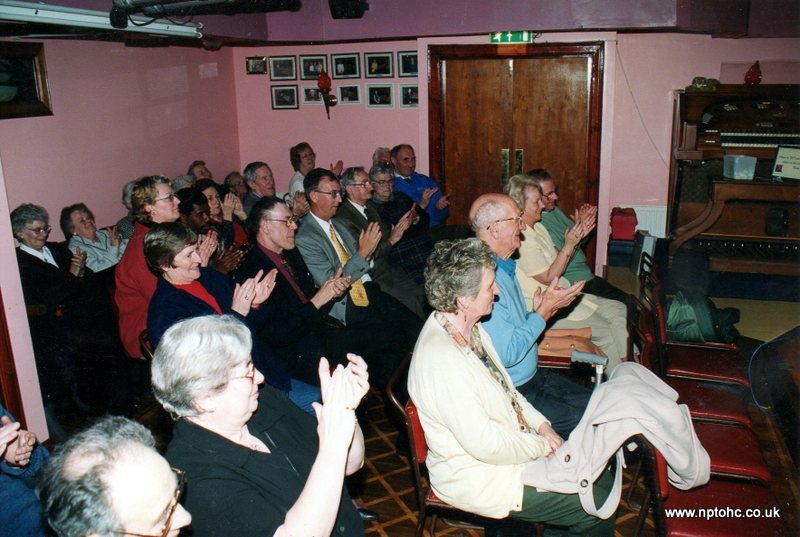 A capacity audience, including Lord and Lady Steel, Lady McEwen, and both invited and ticket holding public, enjoyed a concert performed by Joe Marsh. 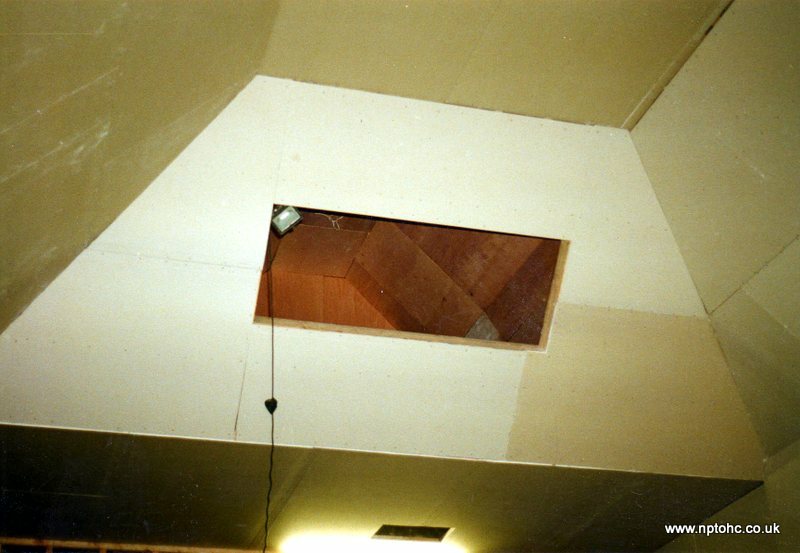 Emergency lighting was installed, minor modifications were made to the seating layout, and an Entertainment License was soon granted. 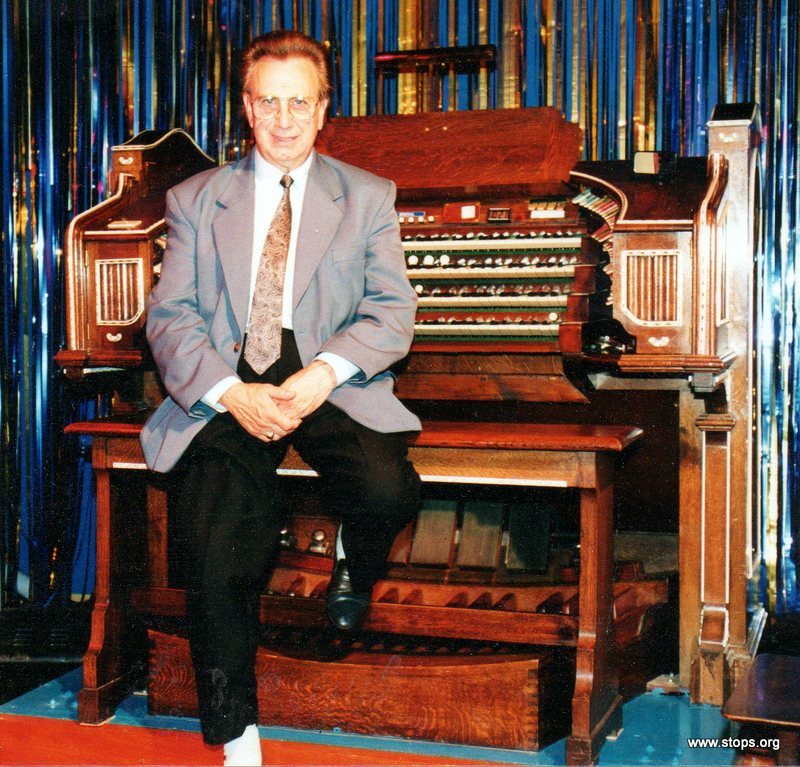 Larry McGuire, who had been resident organist at the Playhouse, Edinburgh, from 1975 to 1985, was appointed as Resident Organist of the New Palace Centre in 1996 when STOPS began to get visits from interested groups. 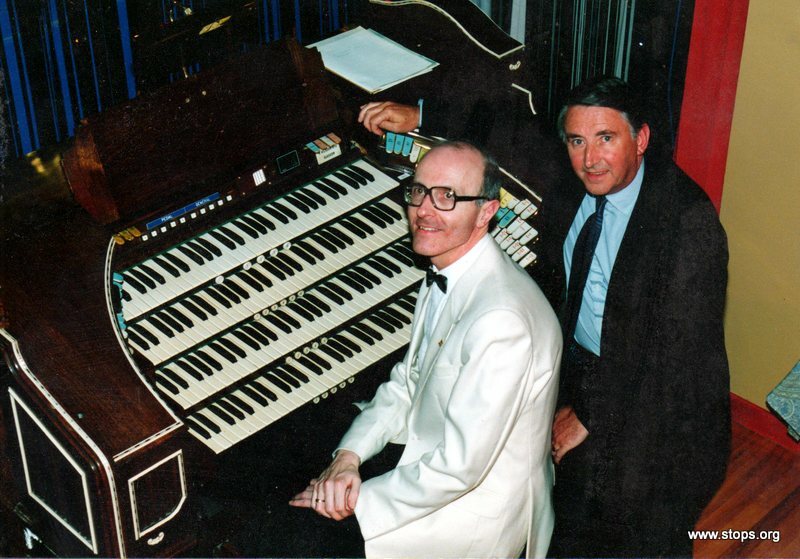 Gordon Lucas and Berwick-upon-Tweed organist Tommy Gladston, both assisted and deputised. 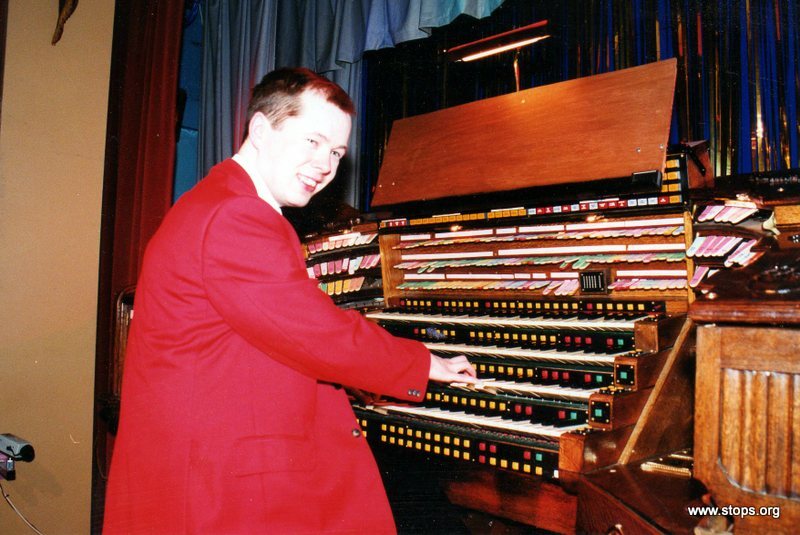 A number of world class famous organists, as well as many not-so-famous, have performed on the Hilsdon since then, including these below. 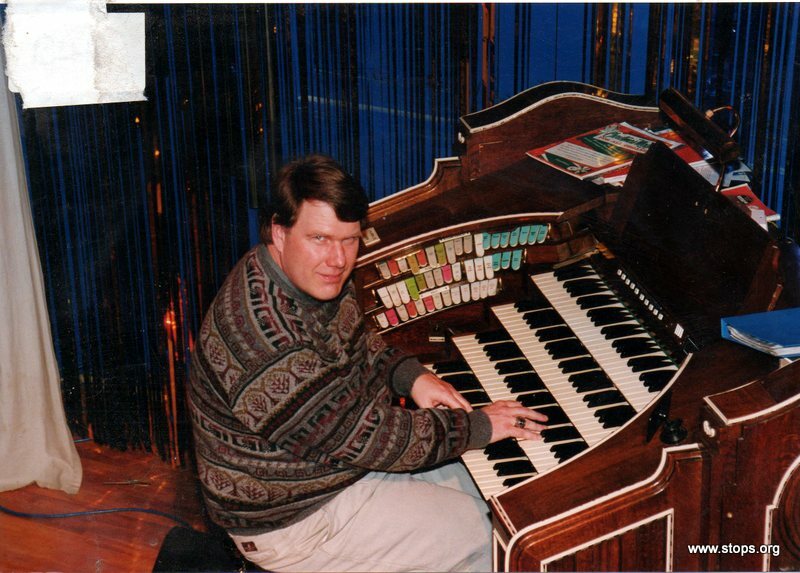 However, not all performers in the Centre have been organists. 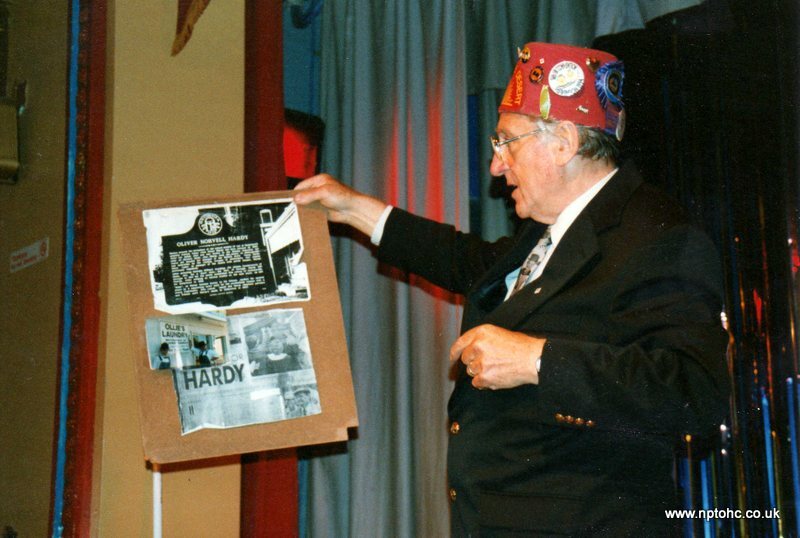 As well as concert performances by several bands, various movies have also been shown, including a special showing of 'The Sound of Music' as part of the national celebration of 100 years of cinema in 1996. 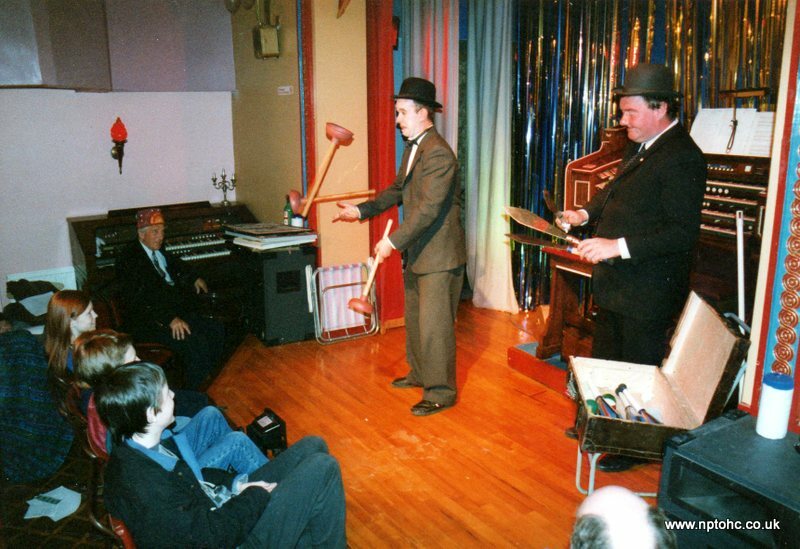 Along with other types of events, the stage and auditorium have proved their suitability for a wide range of performance types. 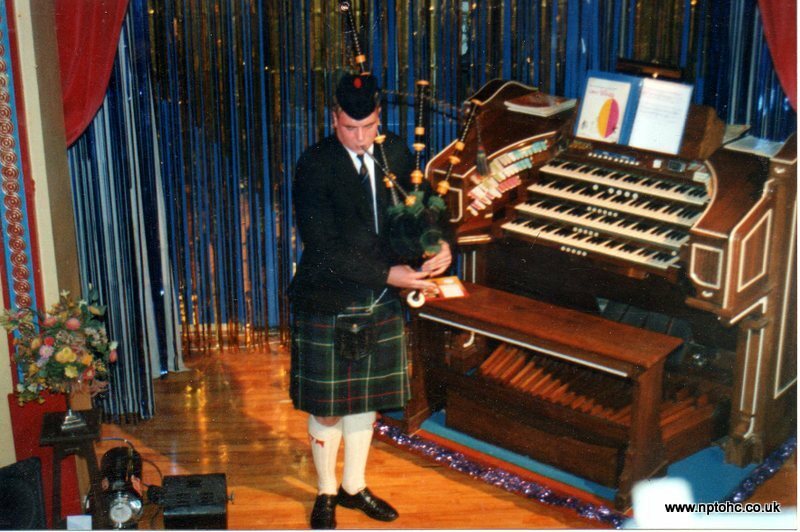 In 1995 though, the Society's world was turned upside down when the huge instrument in the Playhouse, Edinburgh was donated to them, on the stipulation from Scottish Heritage and the Scottish Office, that it should be amalgamated with its little sister in Greenlaw, seeing as neither organ was then complete. 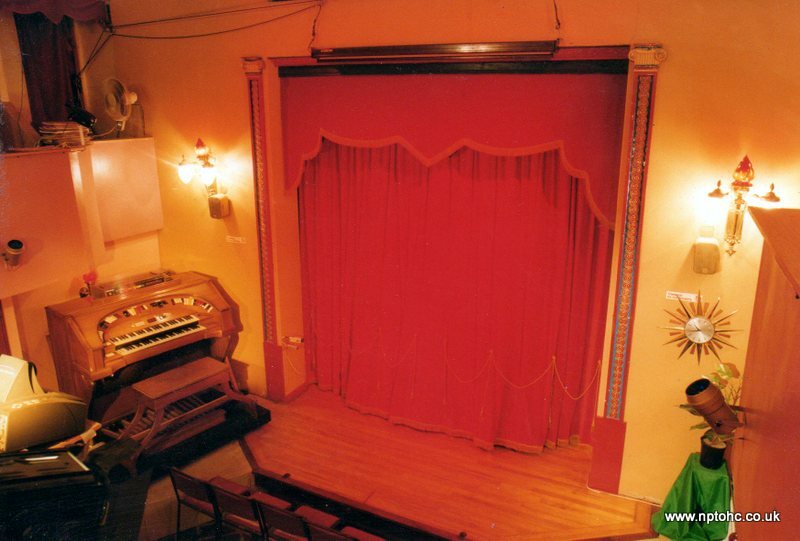 Because other types of performances need the stage, the forestage, that area in front of the red curtains, was extended at both sides in 1996 to allow the organ console to be moved off the stage and 'stored' clear of the performing area, while still allowing the organ to be played. 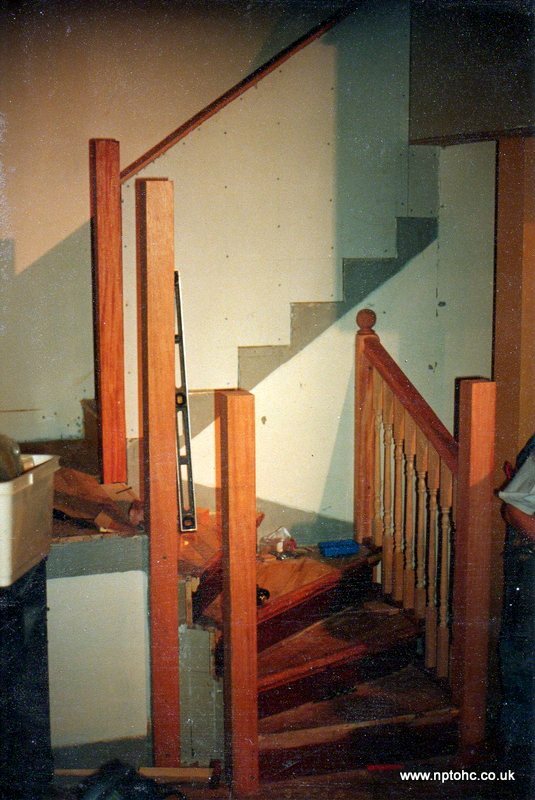 This change resulted in the loss of 12 seats, but as these were side on to the front half of the stage, they were not a major loss. 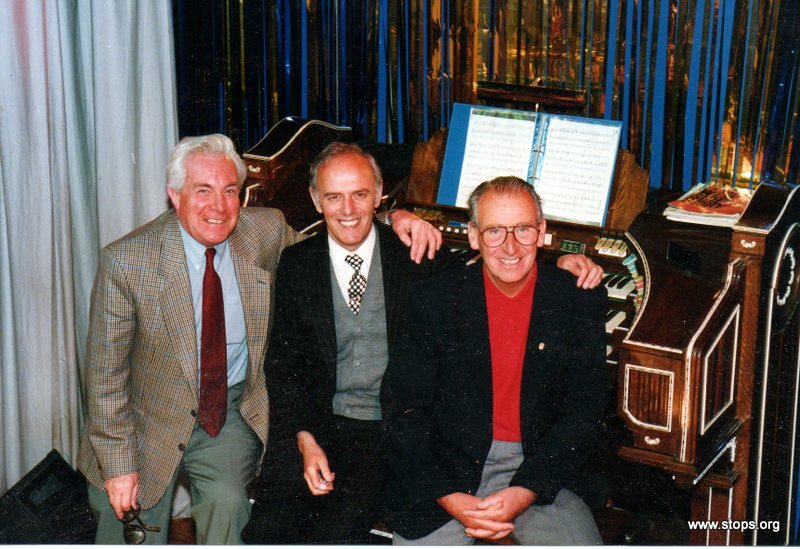 This meant though, that the existing organ in the Centre was also subsequently donated by Gordon and Larry to the Society so that the amalgamation could take place. 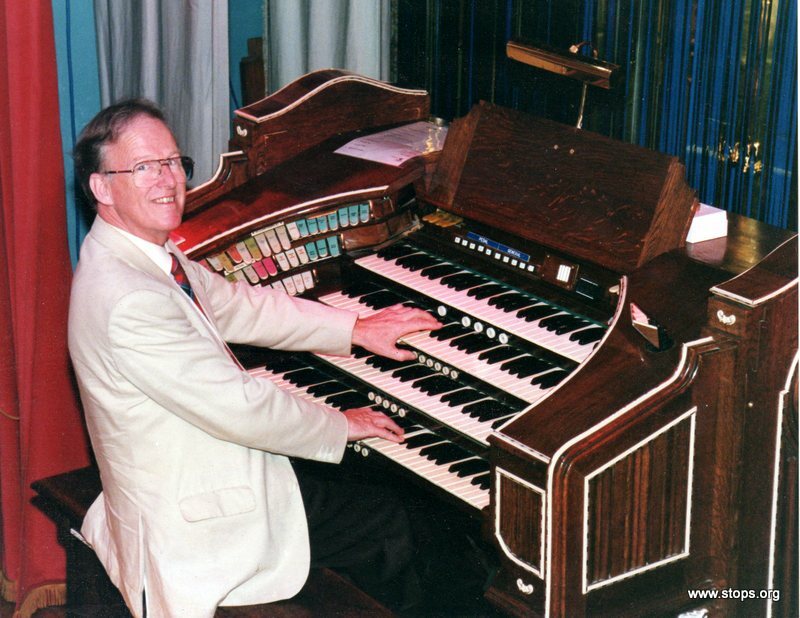 An interesting legal situation crept up then, because pipe organs are classed as 'heritable fixtures' and once erected, form part of the building, but the building was not owned by the organ Society. 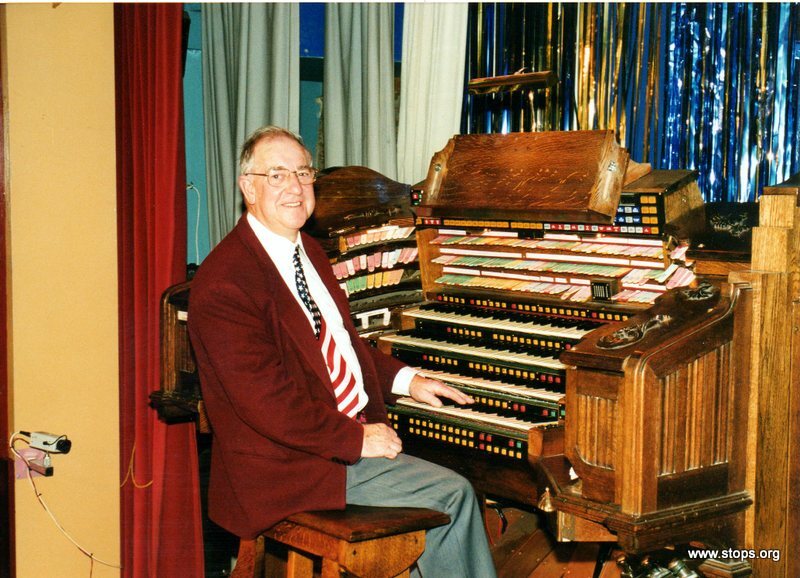 A legally binding agreement was drawn up between the Society and Gordon and Larry, whereby, if the building was ever put on the market, the Society would be given first refusal, and failing that, would be allowed to remove the entire organ. 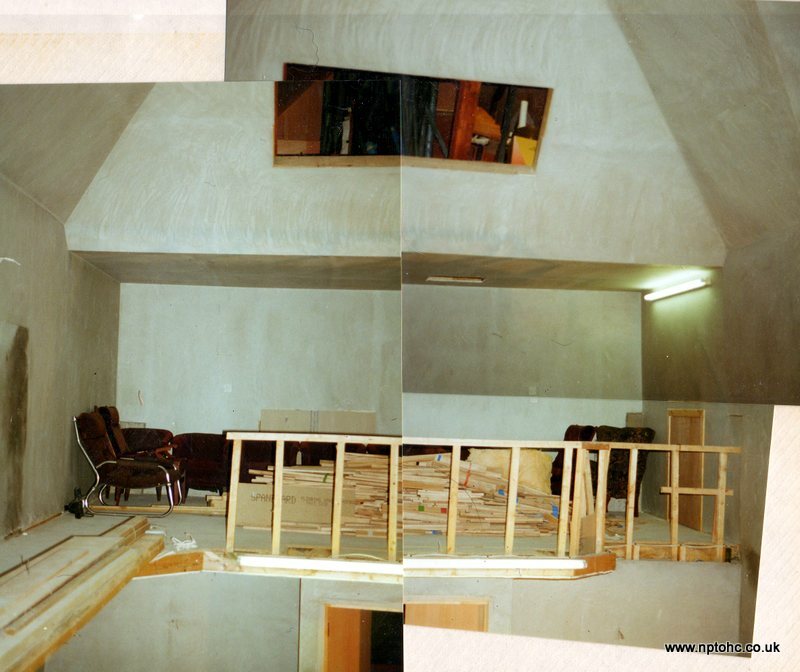 The interior of the auditorium underwent some minor changes to allow some of the Playhouse organ to be installed, although it was realised that the main organ chamber would have to be extended in the future to house all of it. 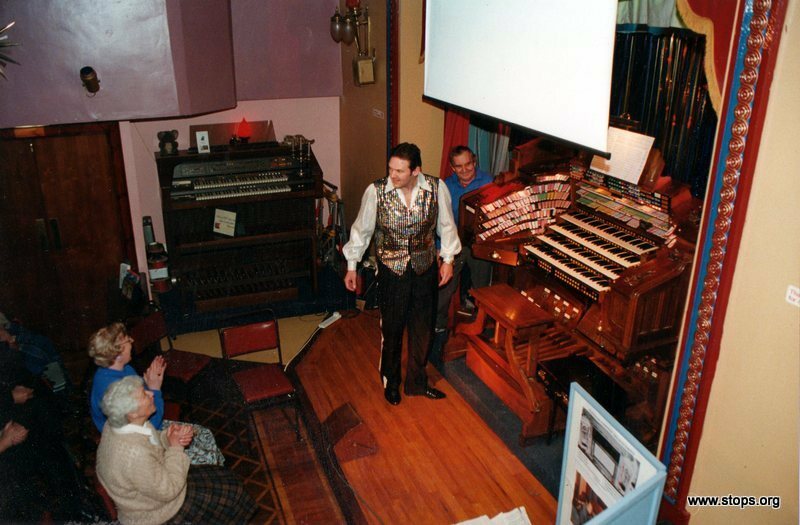 There are three locations for organ pipes in the building, namely, the area behind and above the stage which houses the Main organ, the area in the gallery above the foyer along with the attic space above that, which houses the Palace organ, and the attic space at the opposite side of the auditorium, which is reached via a small trapdoor in the auditorium ceiling. 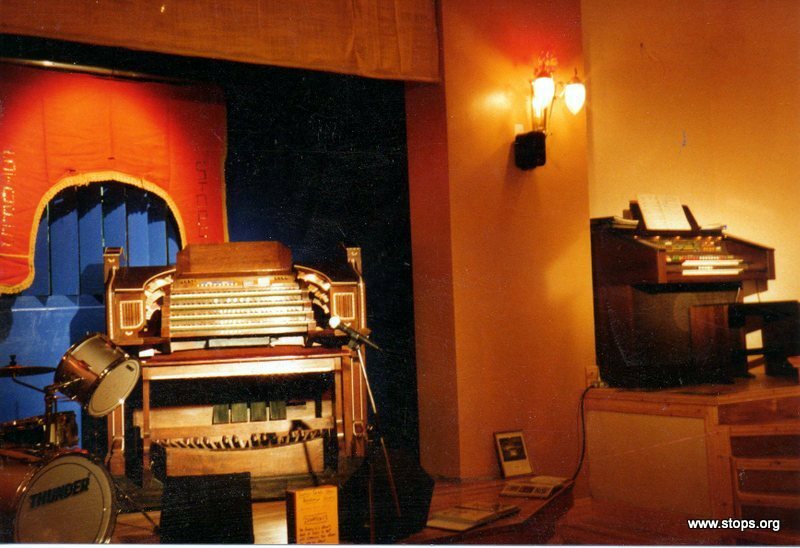 The cupboard at that end of the gallery houses the bass pipes for this section of the instrument, the Echo Organ, located there. 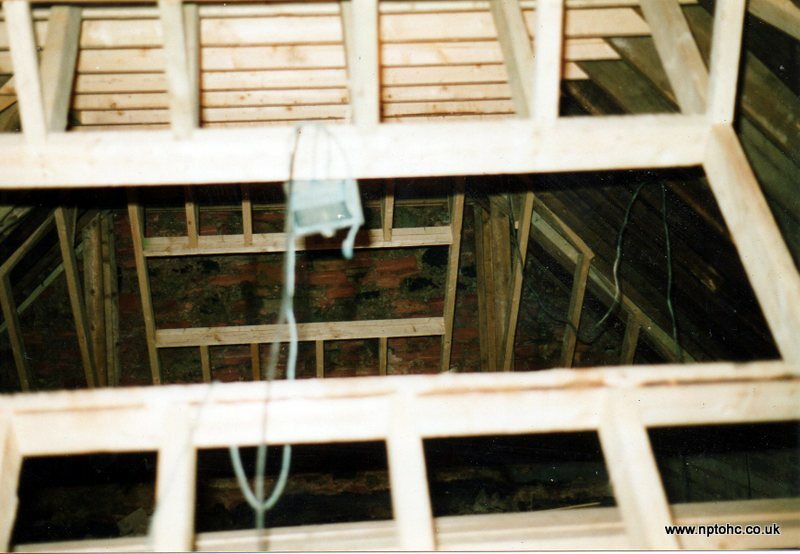 The pipes above the stage are purely decorative. 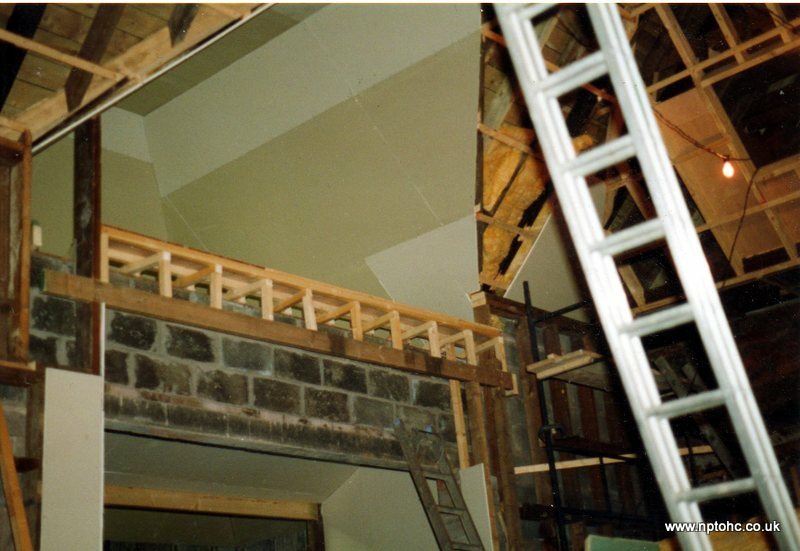 This display was installed in 1999 to provide a more interesting and attractive header to the stage proscenium opening, instead of the plain net curtain which had been there previously to cover the shutters and pipes of the organ above the stage. 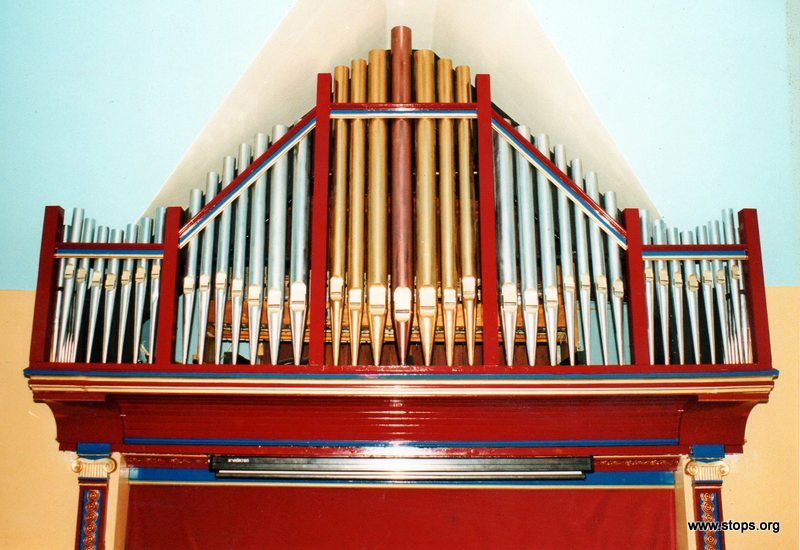 The pipes at the left side of the Auditorium are real 'speaking' pipes though, and form the bass notes of what is called the East Division of the organ. The rest of that division's pipes are immediately behind the 19 display pipes. 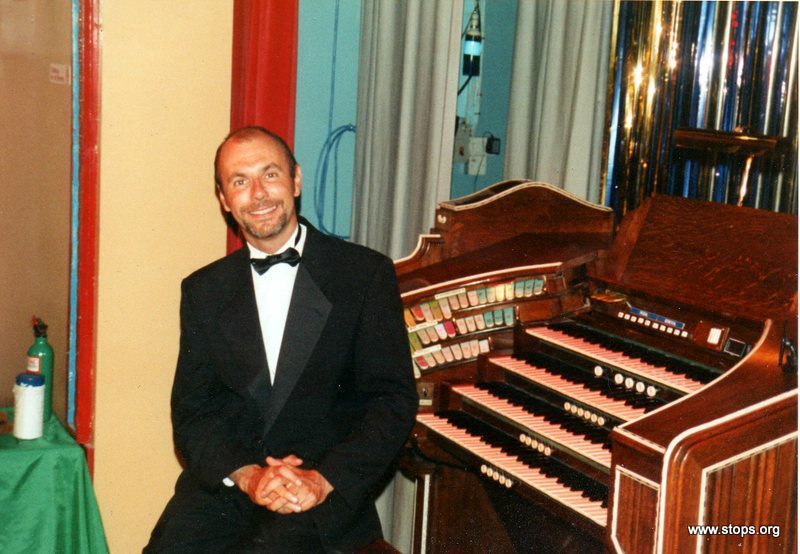 The percussion instruments on display on the walls either side of the stage are also real, and are played by the organist via the keys of the organ, as is the upright piano. 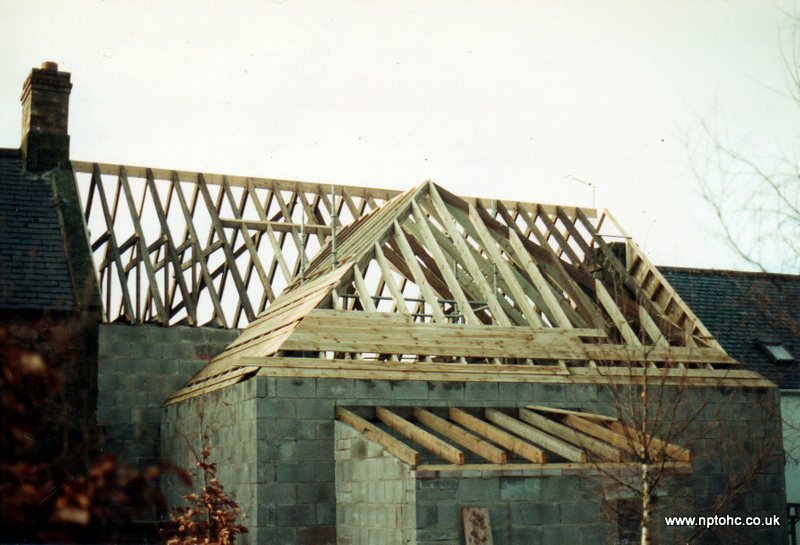 Gordon Lucas died suddenly in 2002 and over the next 3 years, Larry carried out a lot of improvements to the Centre, giving freely of his time and materials to the Society. 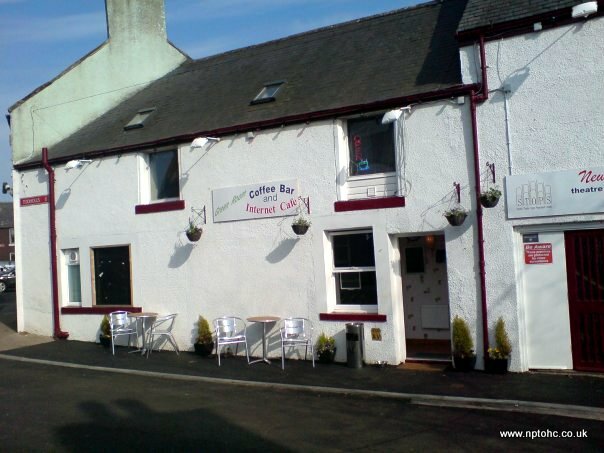 In 2005, he offered to sell the Centre to the Society for a sum which was less than half its market price. 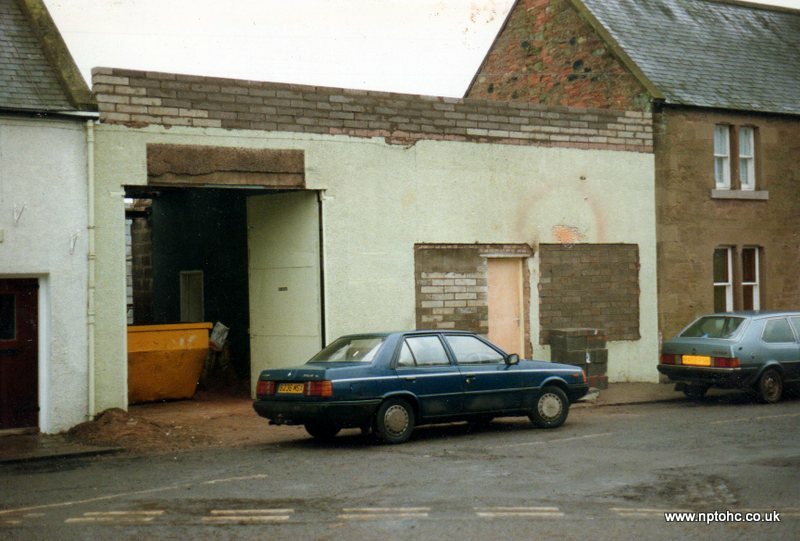 With the aid of a Grant from the Heritage Lottery, STOPS became the proud owners of the building, comprising the Auditorium, Foyer, Coffee Bar and the space above that, as well as part of the garden to the rear of the Centre. 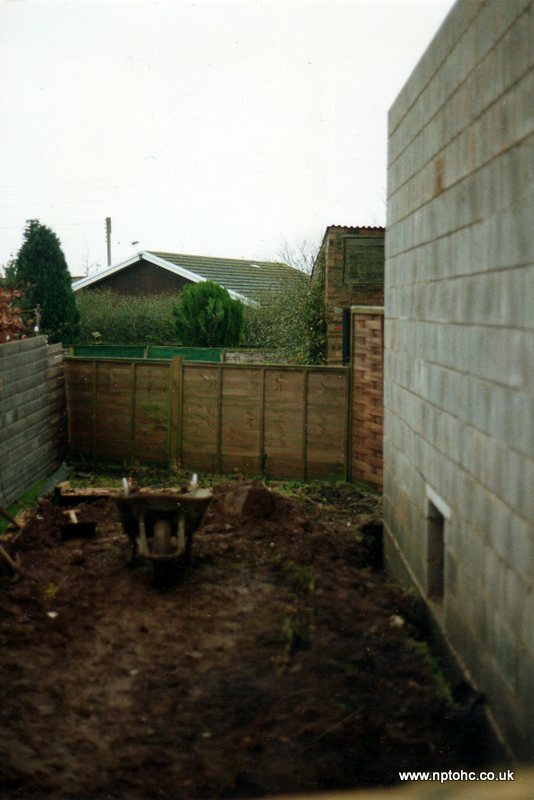 A 'Right of Use' has been written into the Title Deeds to guarantee future access around the rear of the adjacent house, as the official fire exit route from the Foyer is via the rear exit to the garden. 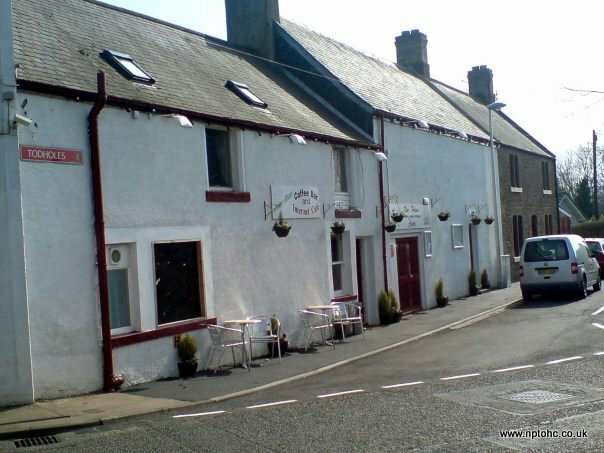 In 2006, an application for a grant from the Awards For All scheme to convert the interval tea room into a coffee bar and internet cafe was successful. 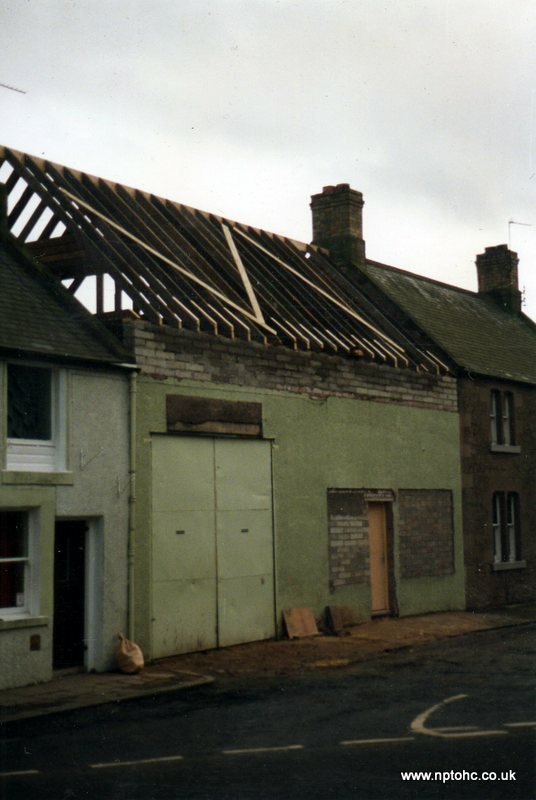 This was matched by funding from the Scottish Borders Council's Community Support Fund, which allowed STOPS to erect new advertising signs on the outside of the building and install the partially glazed doors to the front of the building and rear of the foyer, to open it up to the outside. 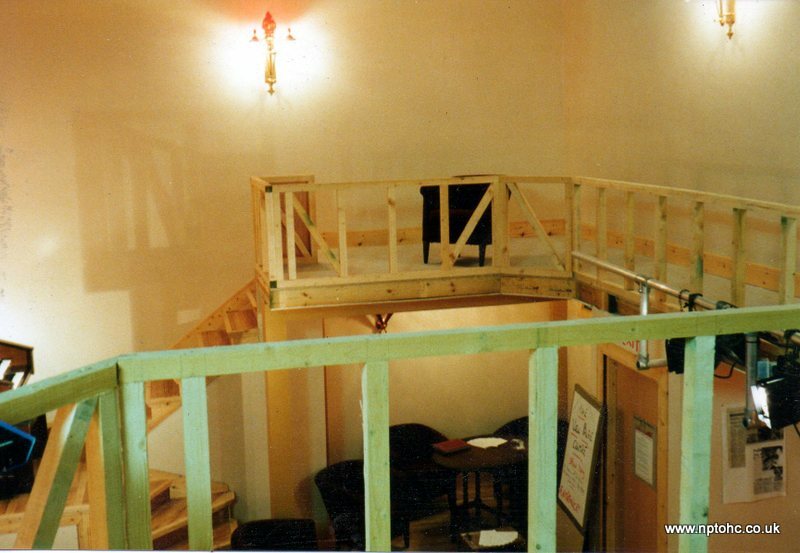 The work was carried out in the early part of 2007 and the Green Room, as the coffee bar was named, opened on 15th April, 2007. 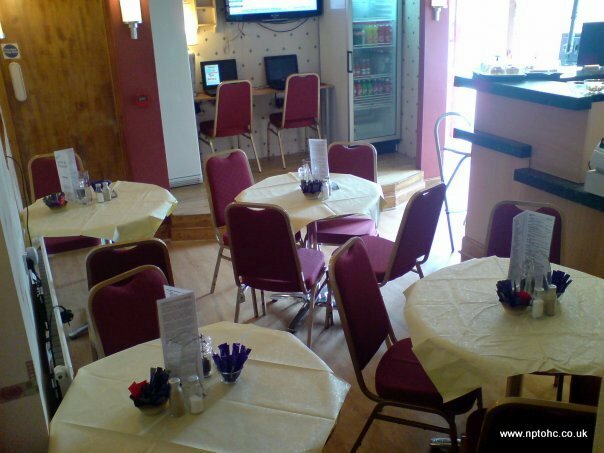 Andy Jones, working as a volunteer, was appointed as the Centre manager, and he runs the Coffee Bar and Internet Cafe as well as looking after all the IT services which STOPS and the Centre needs. 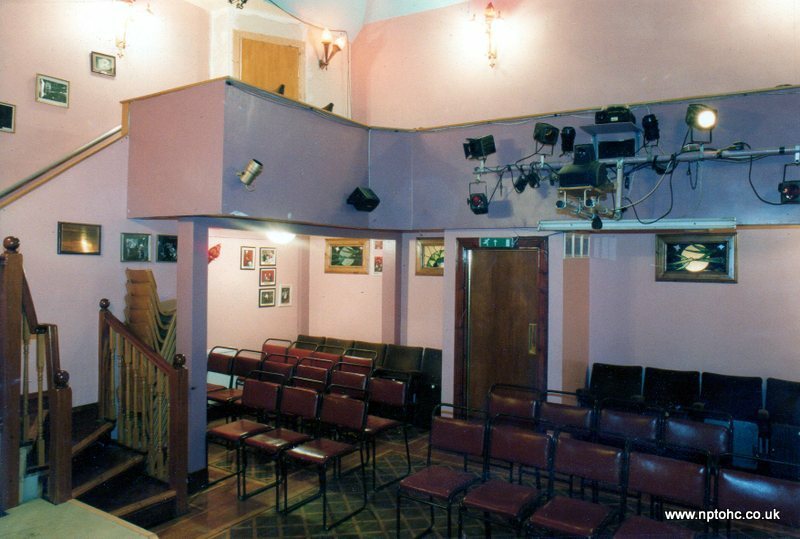 In 2009, the auditorium was extensively redecorated. 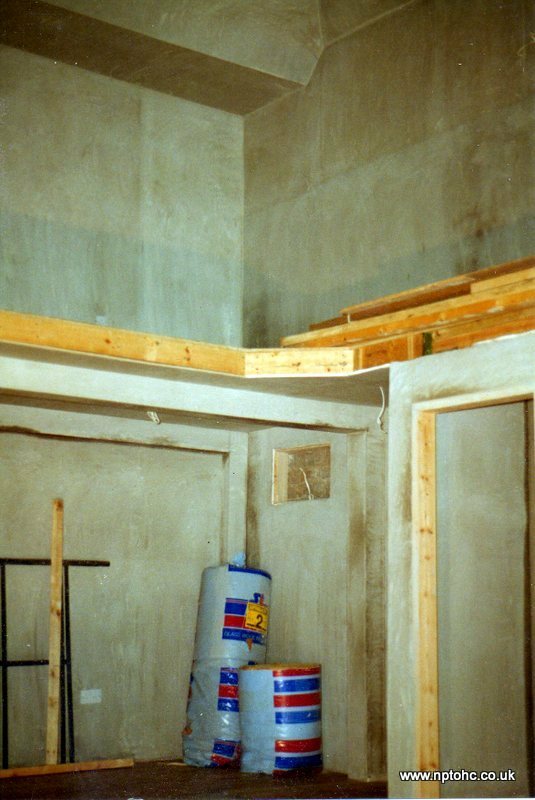 Brocade wallcovering was applied to the walls and the ceiling painted. 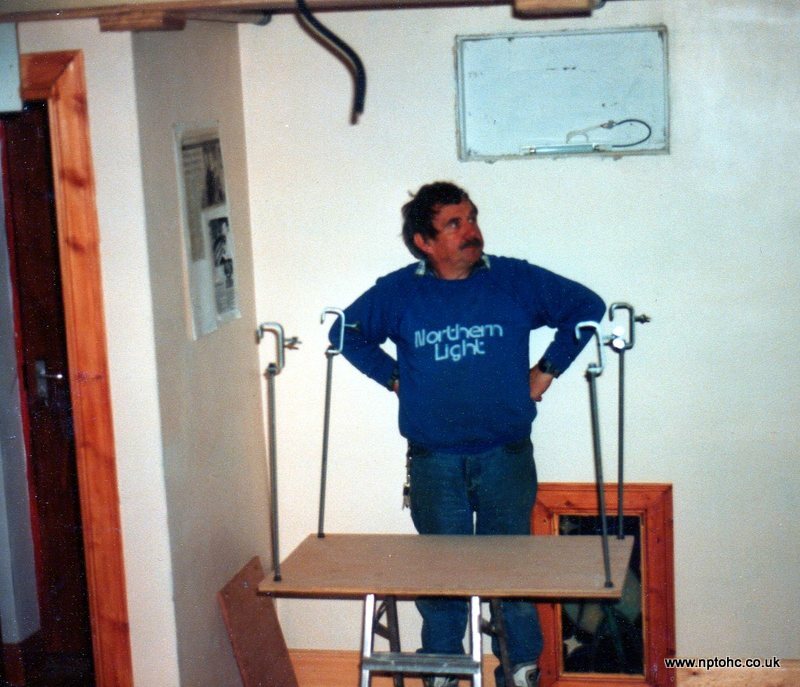 An artist painted and donated the 5 murals which have been affixed to the ceiling. Some 300 Swarovski crystals, coloured blue, purple and clear, have been randomly glued to the ceiling, although a representation of the constellation of Orion has been created in crystals above the centre of the gallery. 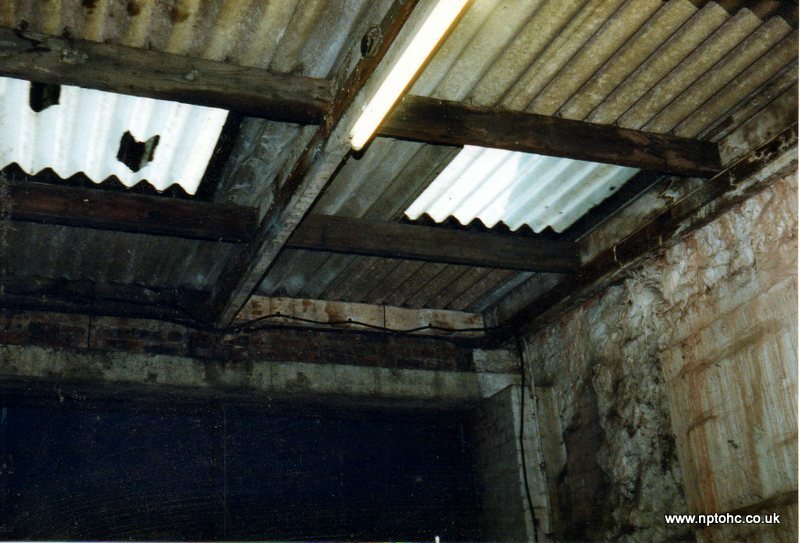 The chandelier, or electrolier to give it its correct name, was already installed and the large painting in the centre of the ceiling was designed to accommodate it. The electrolier is fitted with hundreds of Strass crystal drops and pendants. 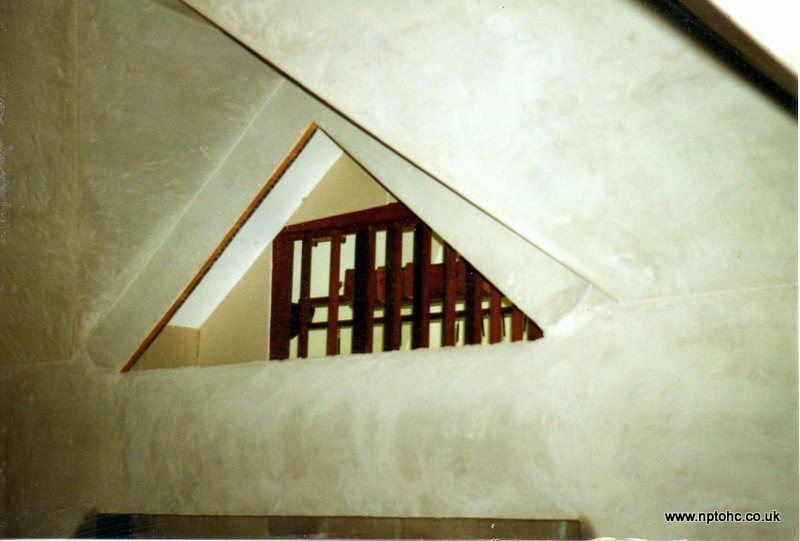 The grilles on the sloping parts of the ceiling at either side were fitted during this redecoration. 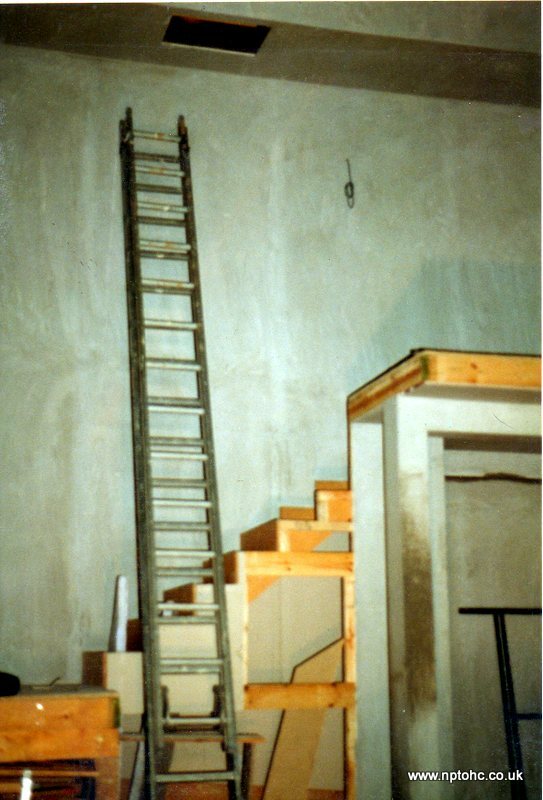 These conceal the swell shutters for the Echo and Palace organs and the openings in the grilles allow the sound from these two sections of the organ to pass into the auditorium. 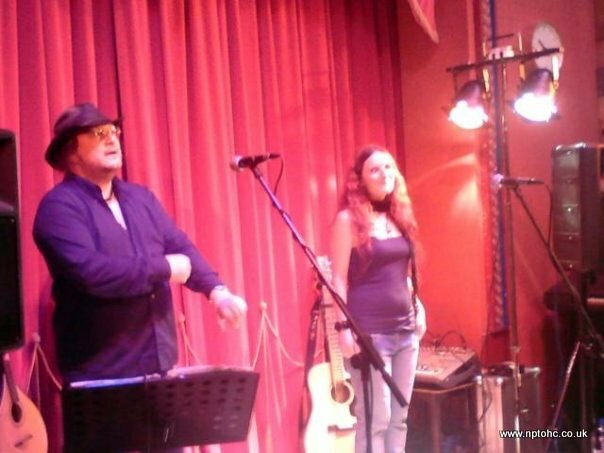 The cloth behind them is acoustically transparent. 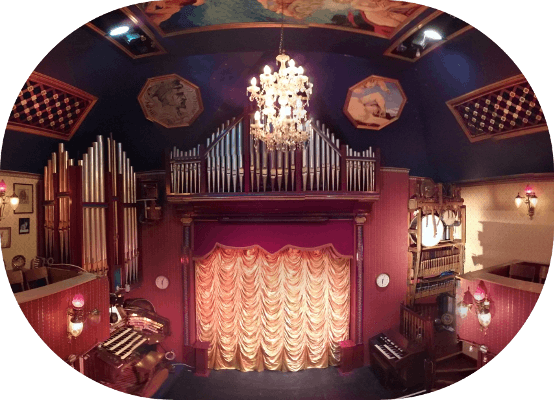 The grilles have decorations applied to them which are reminiscent of the much larger plaster ones in the Playhouse, Edinburgh, with sea-horses, clam shells, anemonies and sea flowers echoing those which are around the Proscenium Arch of that theatre. 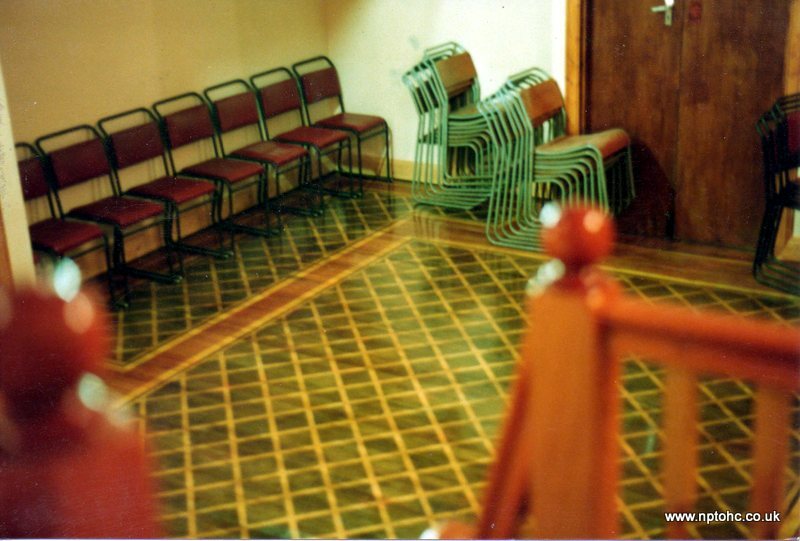 Whilst the Auditorium was being redecorated, the floor was sanded and revarnished as it had suffered from being warped due to a partial flood of the building in 2005 from excessively heavy rain. 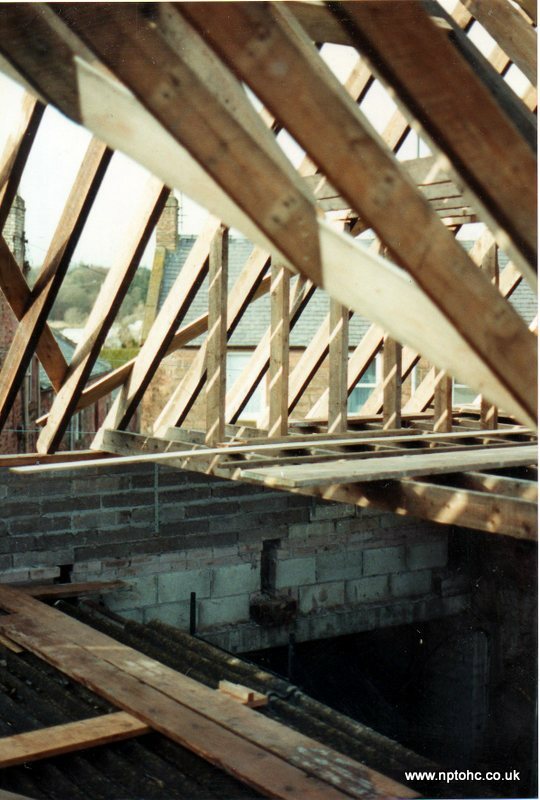 The cause of the flooding has been rectified and shouldn't occur again. 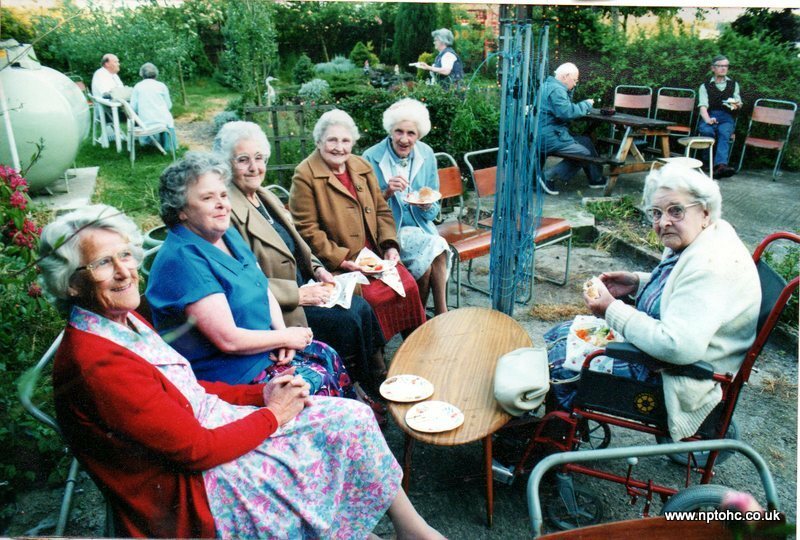 These five pictures were painted locally and donated to the Centre as a Christmas present by John Edwin Worthington-Flitcroft BDS to mark his 65th birthday in the year 2009. 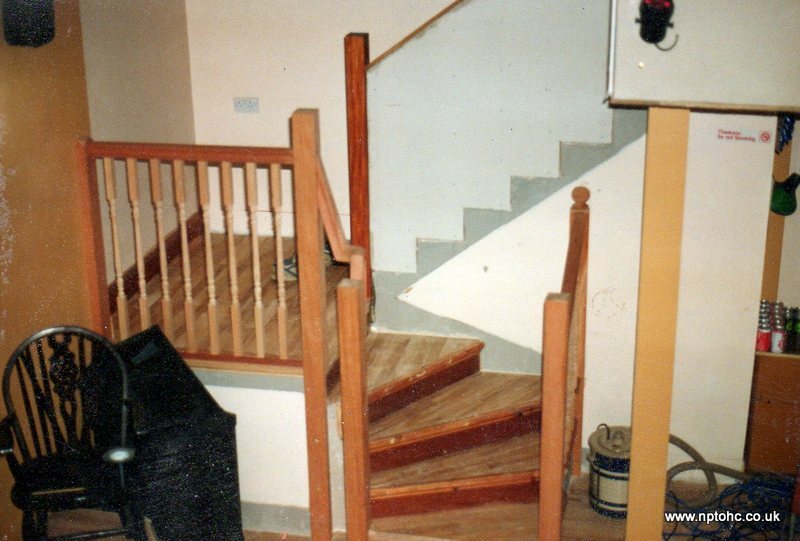 The artist has been painting since September 1947 when he had reached the ripe old age of 3. Spring (Aphrodite ) is just about to be woken by Cupid as she has lain dormant for 9 months. Like a pregnant woman she will soon give birth, but in her case, she gives birth to summer. Here, on a warm Summer’s day, the goddess Athena is entertaining herself by playing on the Scottish Clarsach to the Blue-bird whilst thinking that Autumn will soon be on its way. Here we have Baccus harvesting a crop of grapes to make his wine. Baccus is everything in excess and is getting ready for the Baccinalia (Feast of Baccus ) the Ivy, much loved by deers, is a pagan symbol. In this picture we have Jack Frost, the aura around him is the cold of Winter. This picture has been adapted from the original silver paint drawing done by Michel Angelo and the spelling is the correct Italian way. The drawing was originally done as a present to Cosimo DeMici - Michel Angelo never did portraits apart from his own which appears on the altar wall of the Sistene Chapel. 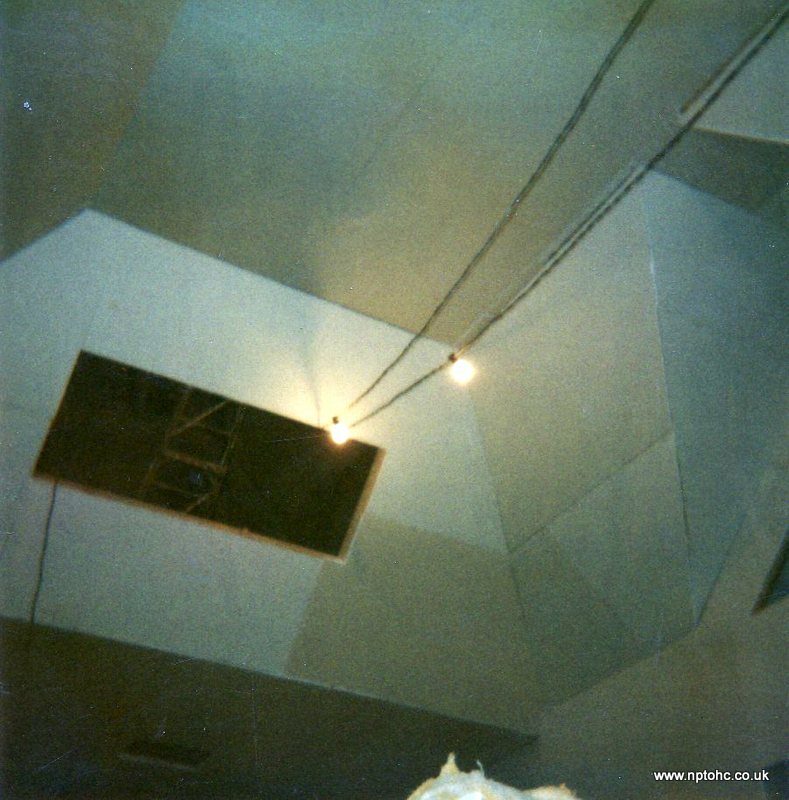 The painting on the flat main ceiling is 8 feet by 4 feet in size and shows “Love on Mount Olympus”. The picture is of Jupiter and Venus. This is a volatile arrangement because true love never runs smoothly hence the double image, falling in and out of love, or love running hot and cold.&mnsp; Cherubs are present to set the scene for the lovers meeting, so they plead and cajole the lovers. The cherubs carry their implements to prod the lovers in the right direction. 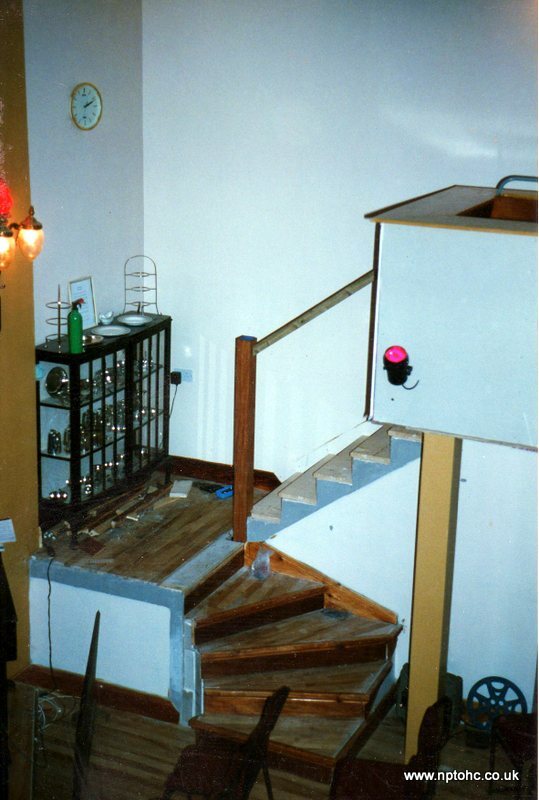 We have several small exhibitions on permanent display. 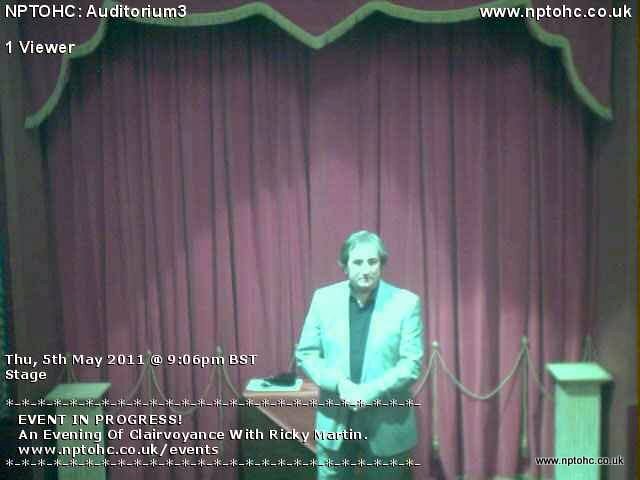 These cover a variety of interests which are related to cinema and theatre history. Our 'Recorded Music Through the Ages' exhibition includes a self playing 'Steck Pianola', which is an upright piano played by punched paper rolls and which sits in the Foyer, along with other forms of recorded music reproduction machines, from a wind-up horn gramophone to a modern MP3 player, showing how technology has allowed the ability to listen to pre-recorded music to progress from self-playing instruments, through mechanical and electrically operated equipment, which latter has become ever smaller, to portable, pocket sized devices. 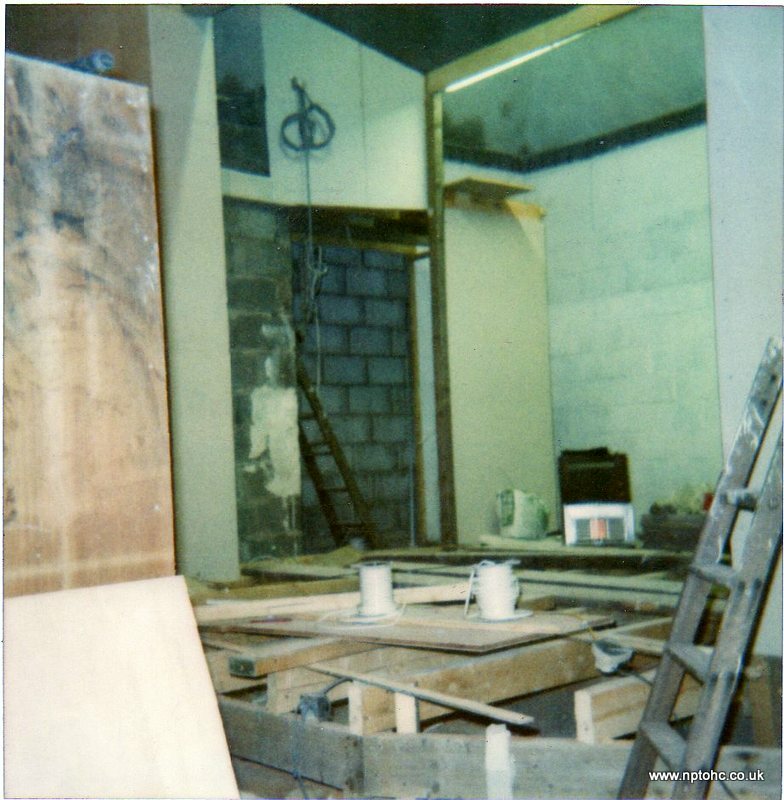 Two display cabinets house the last remnants of the solevr services from both the Edinbrugh Playhouse and Palace Cafes, recalling a time when morning coffee was served by uniformed waitresses in luxurious surroundings. 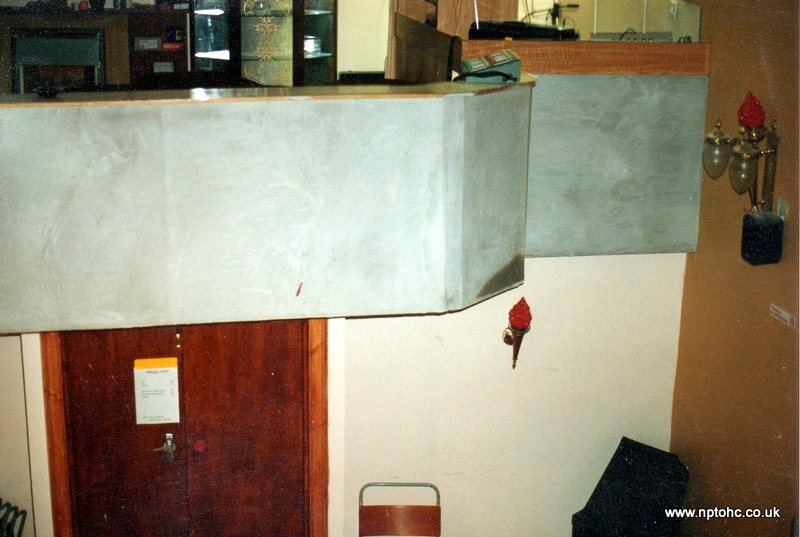 A selection of moving-film projection equipment, from early 9.5mm through to modern 35mm professional cinema projectors, as well as some 16mm cameras and slide projectors, is displayed, providing an insight into the mystery behind the projection room walls. 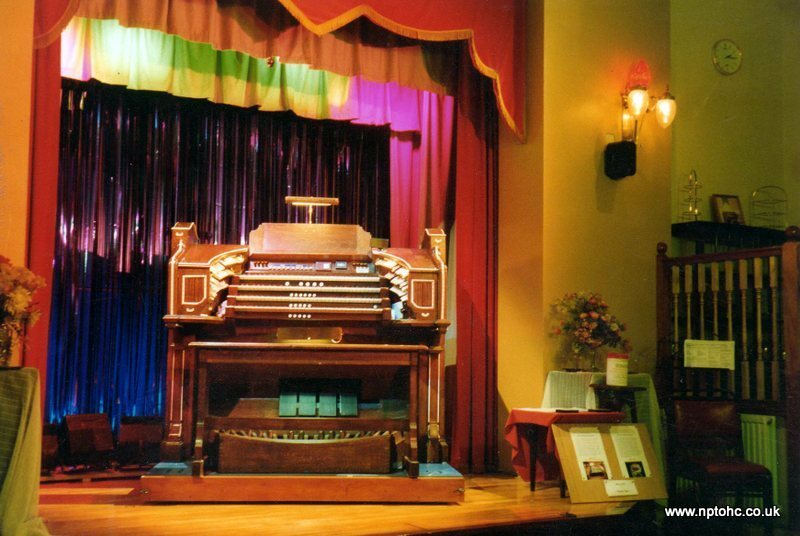 Another exibit holds models of theatre organs used in Walt Disney films, as well as other organ memorabilia. 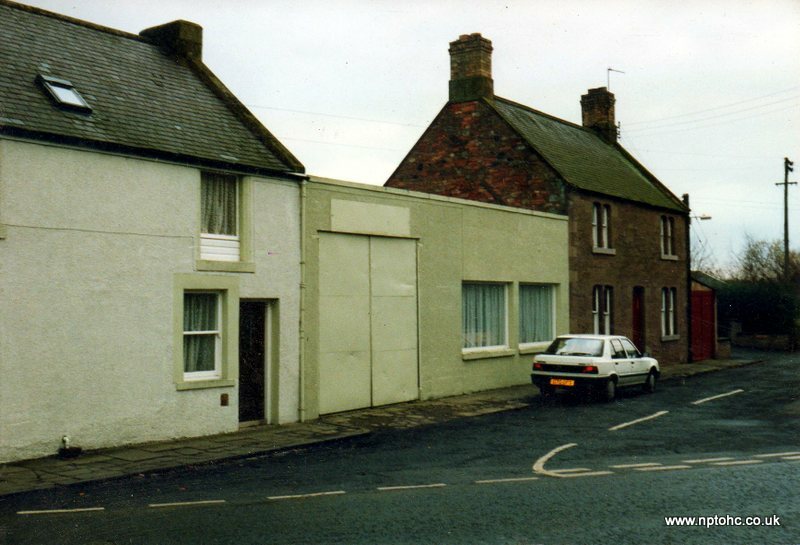 Photographs and prints adorn the walls in all areas of the building, with a corner of the Green Room devoted to the history of Greenlaw itself. 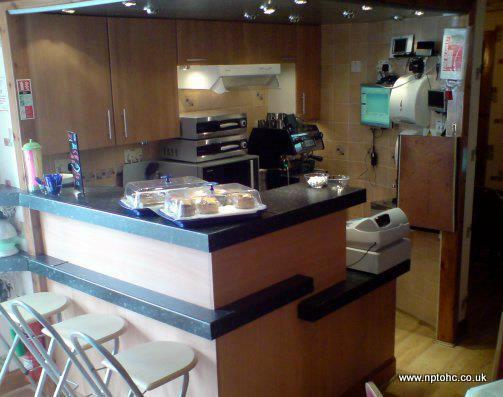 Any visit to the Centre is guaranteed to be interesting, educational and enlightening as well as entertaining.